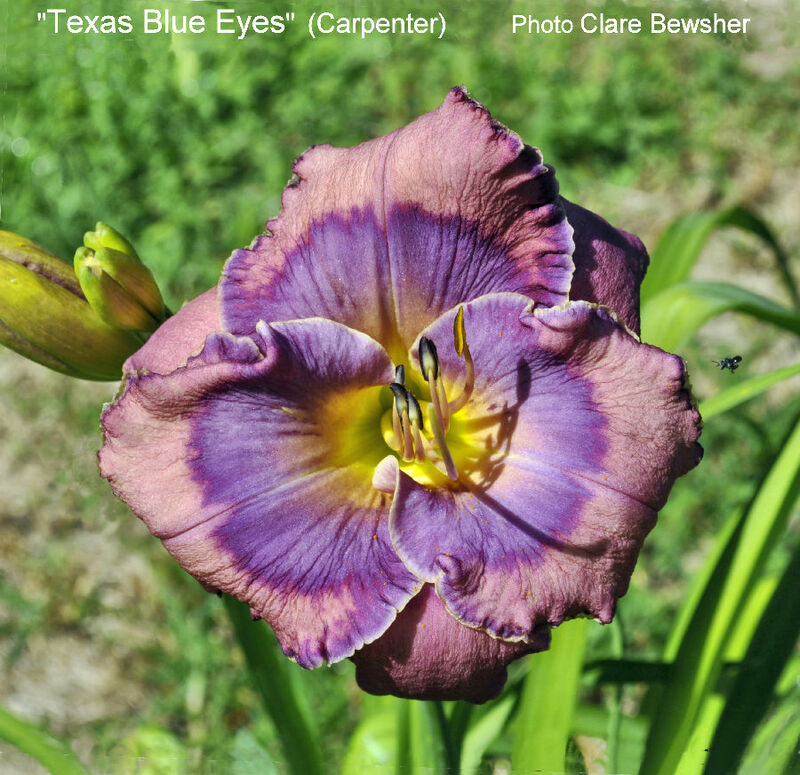 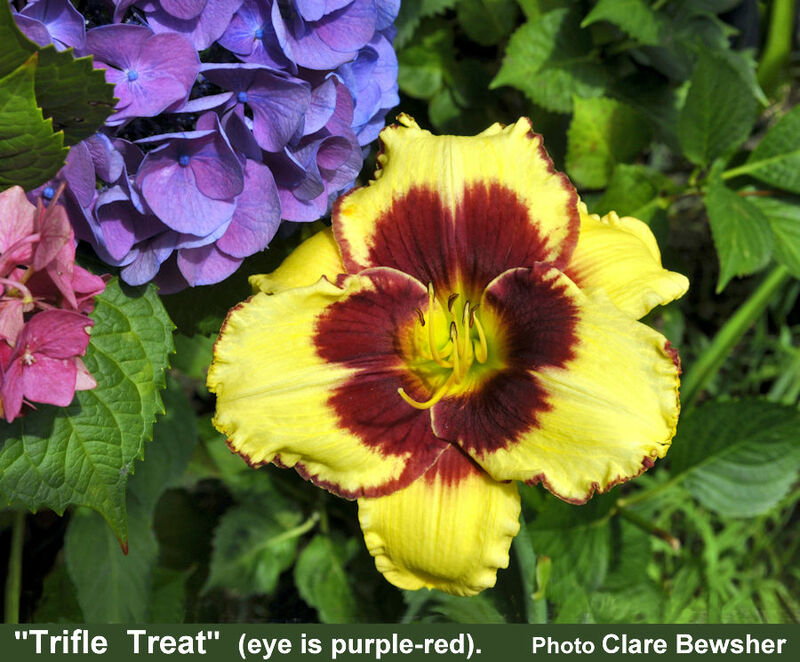 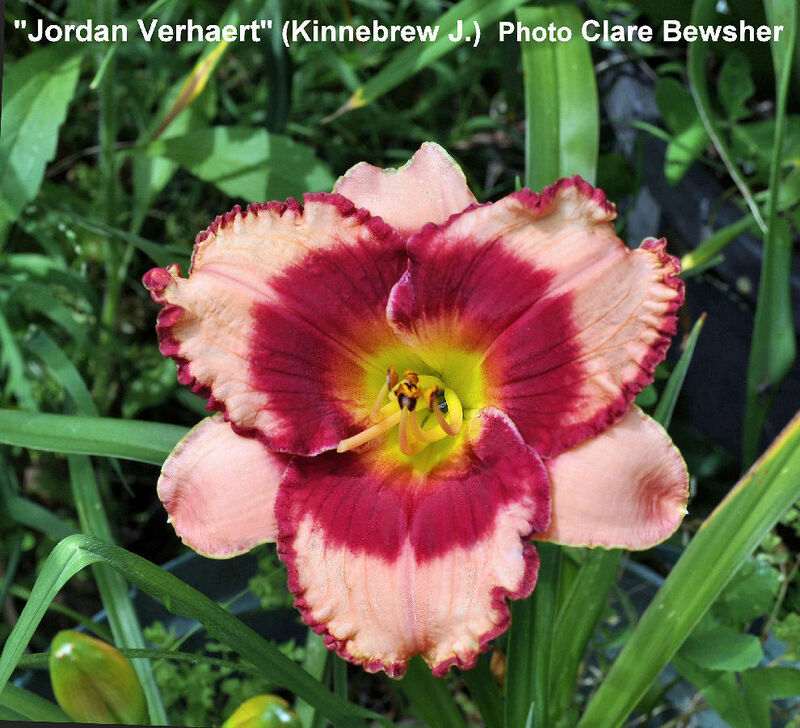 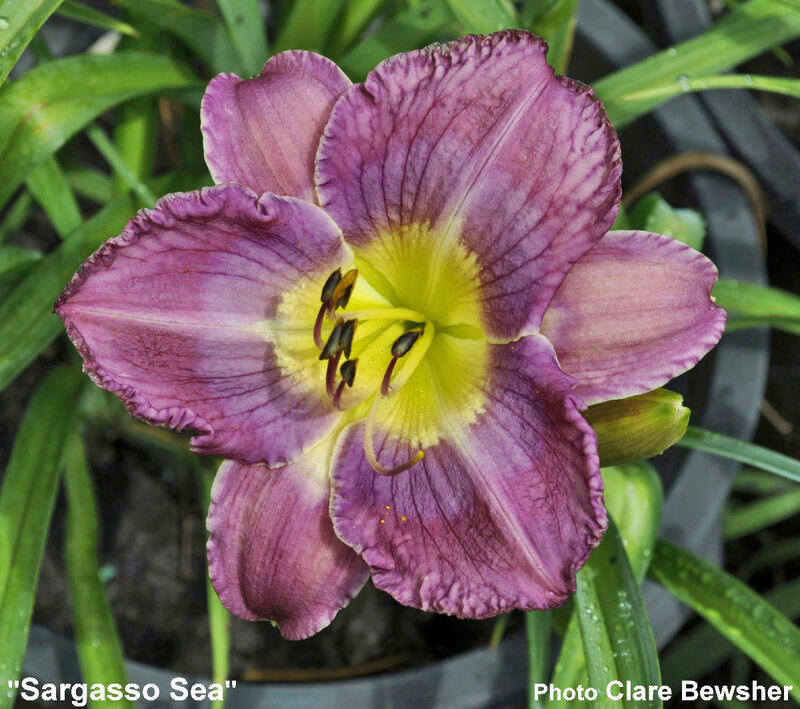 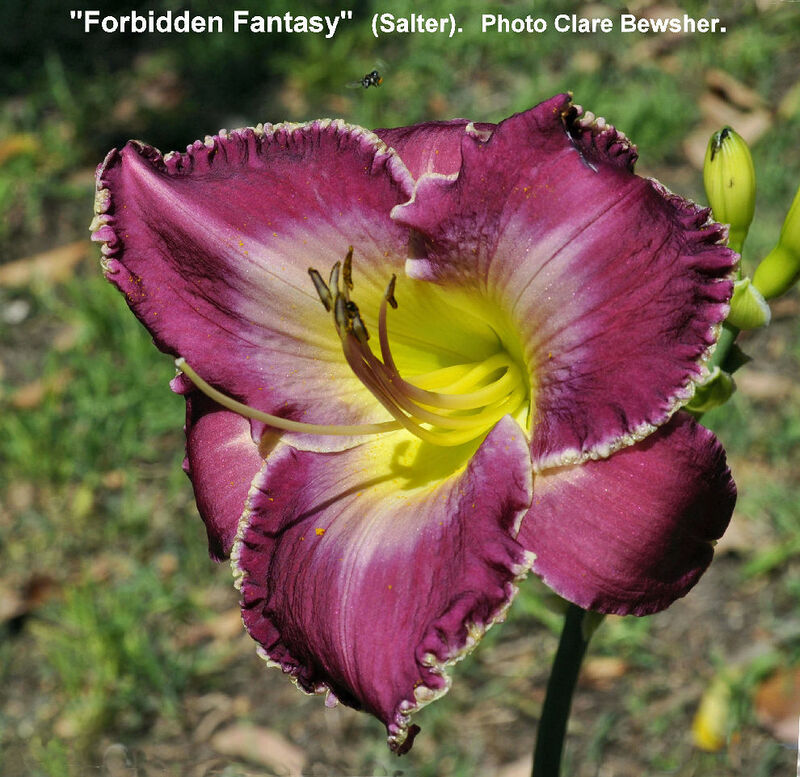 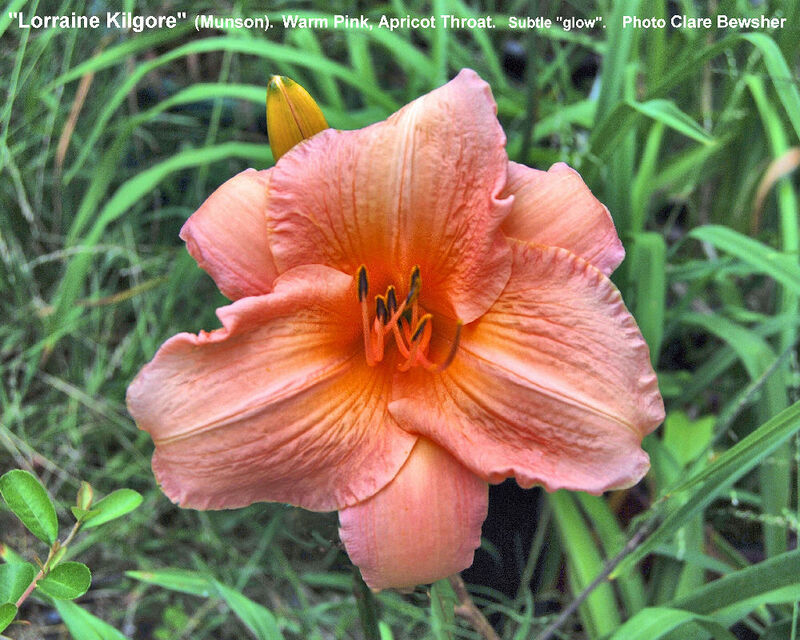 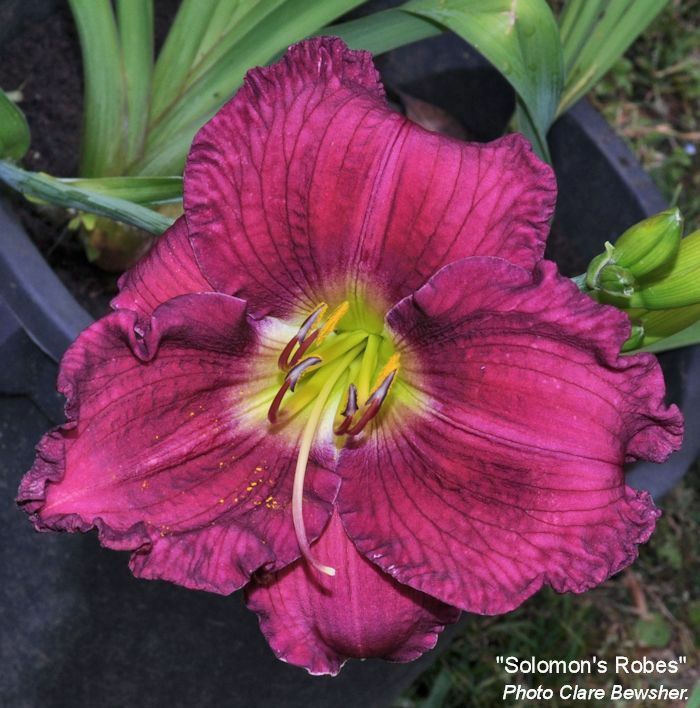 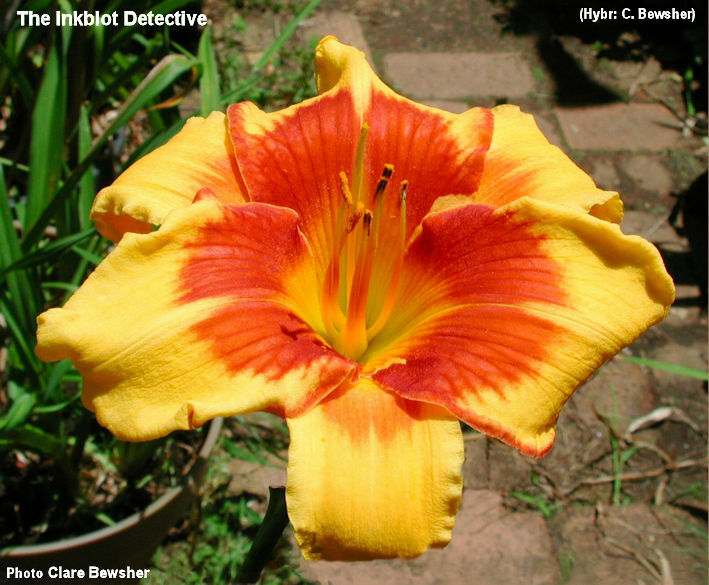 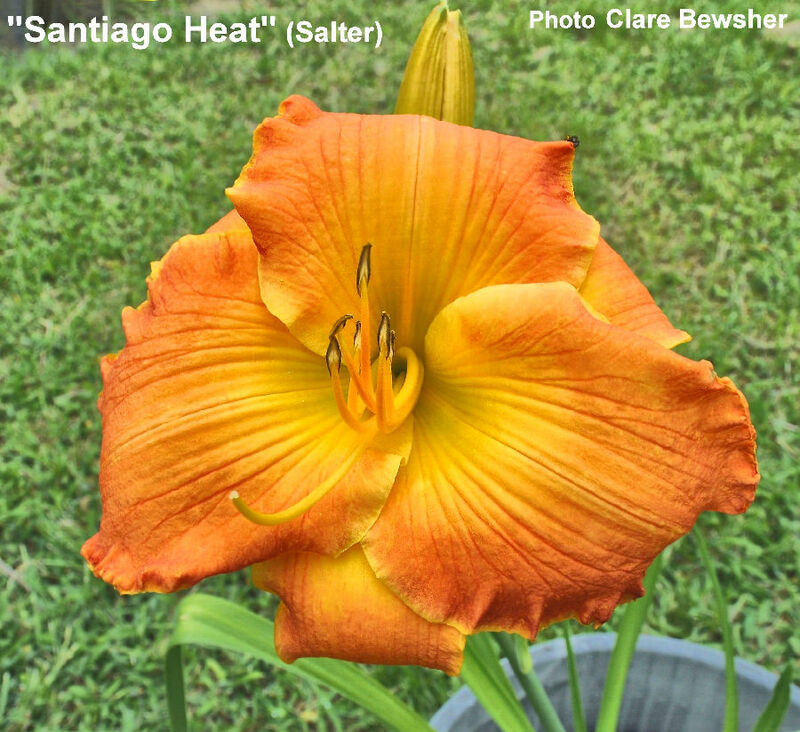 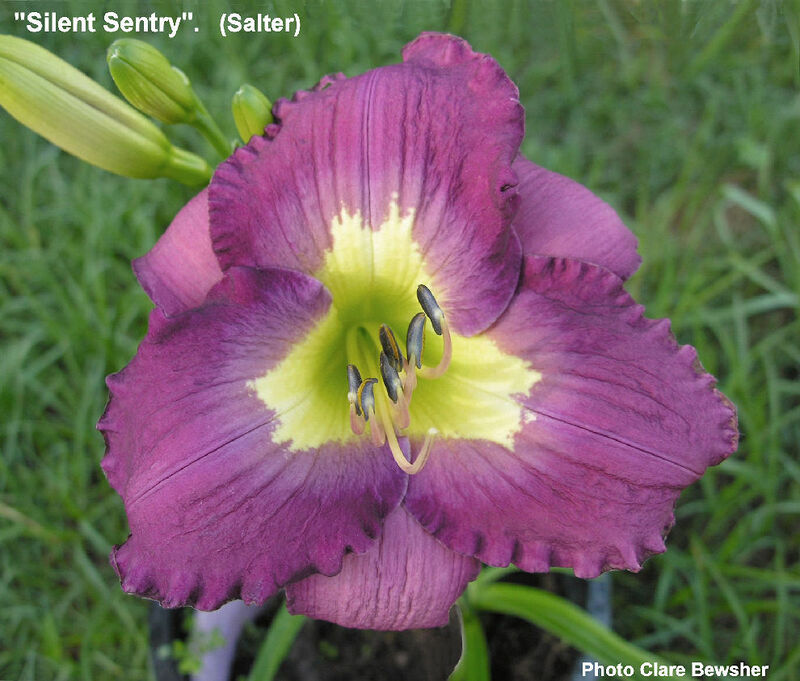 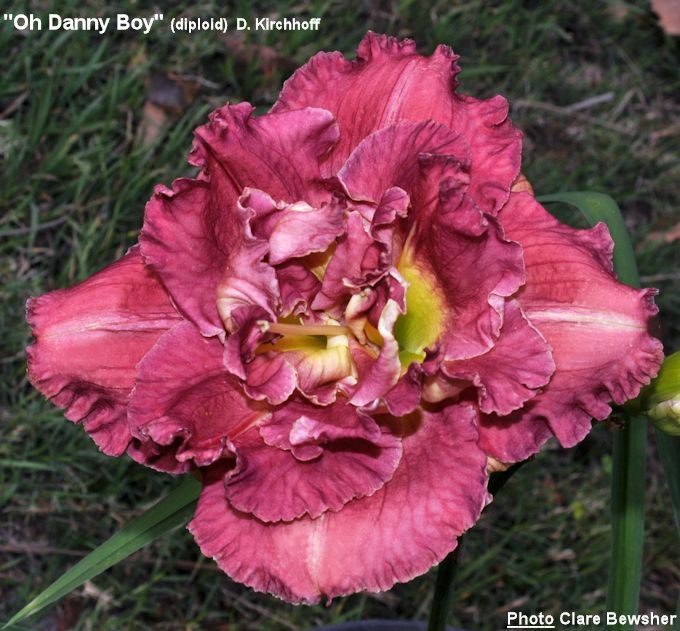 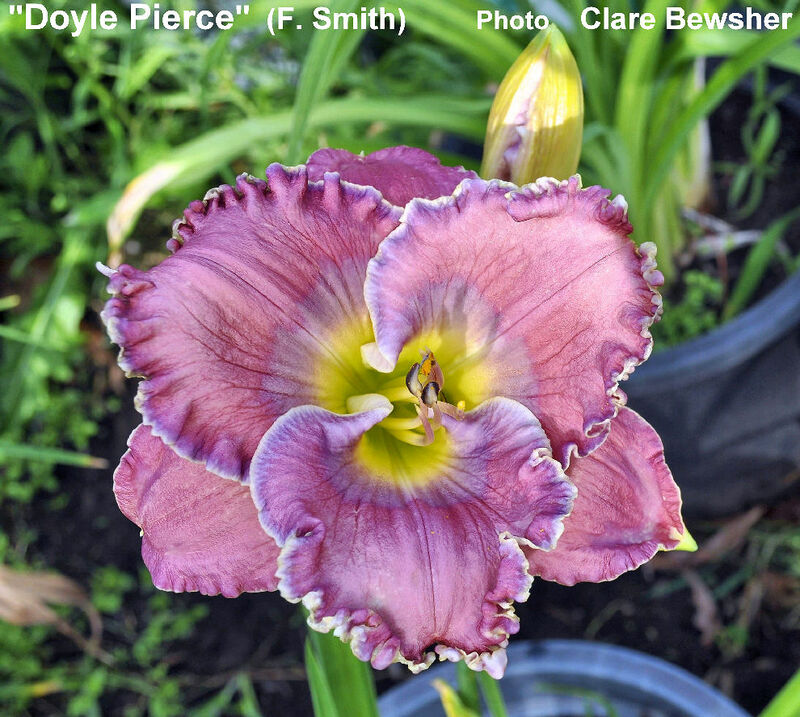 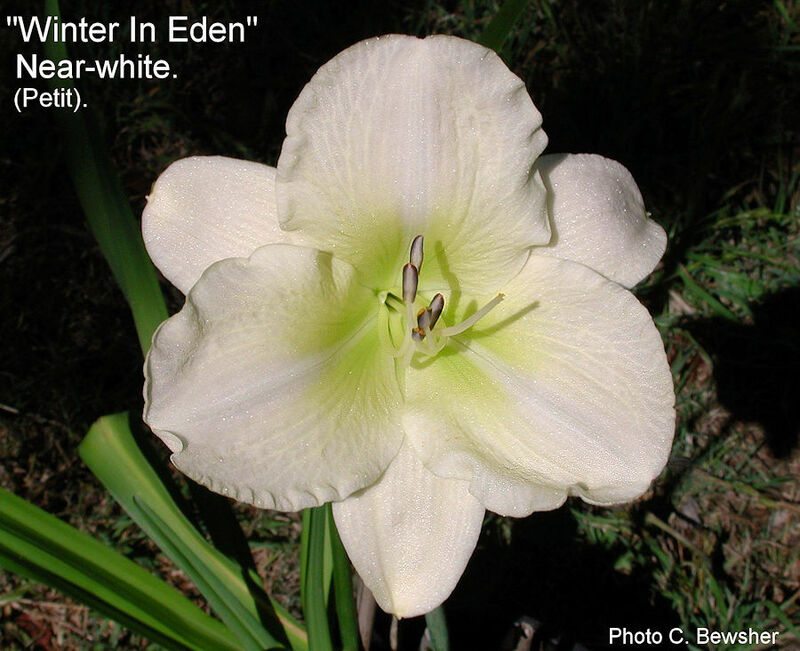 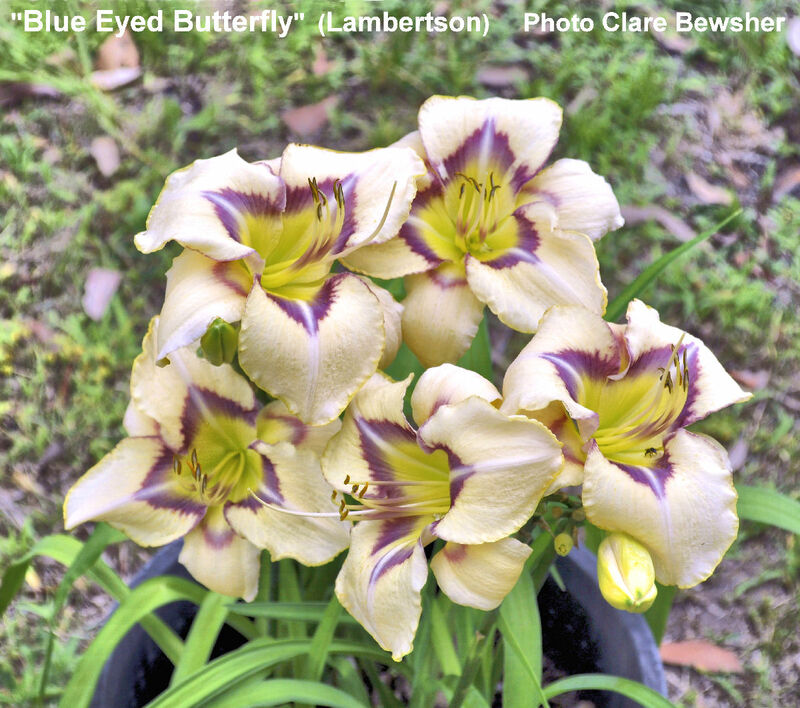 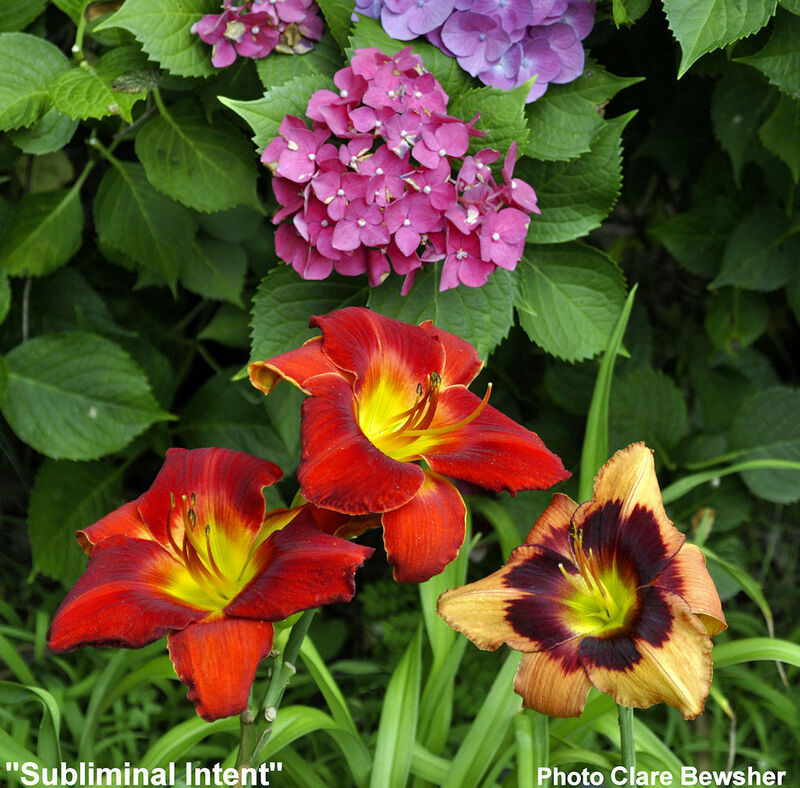 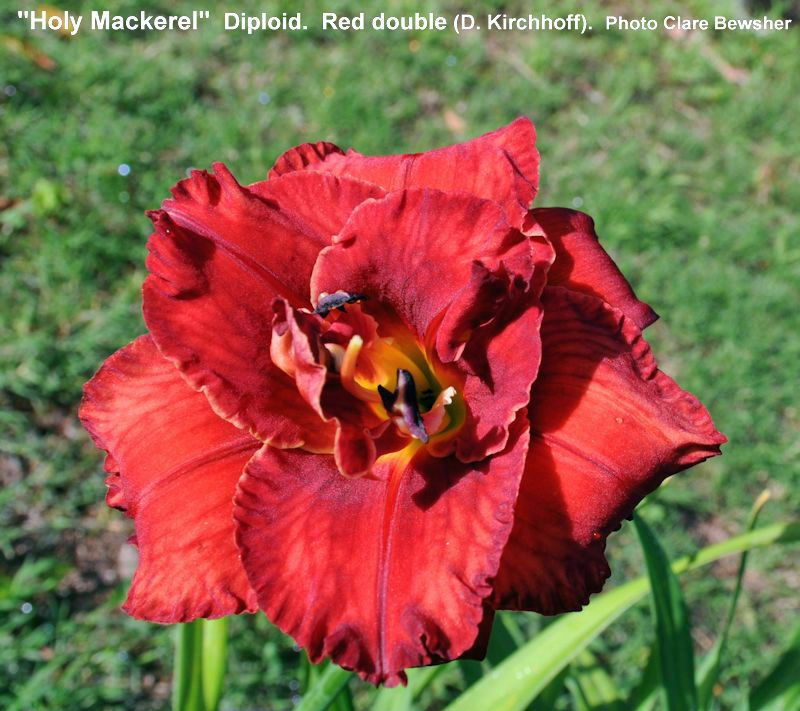 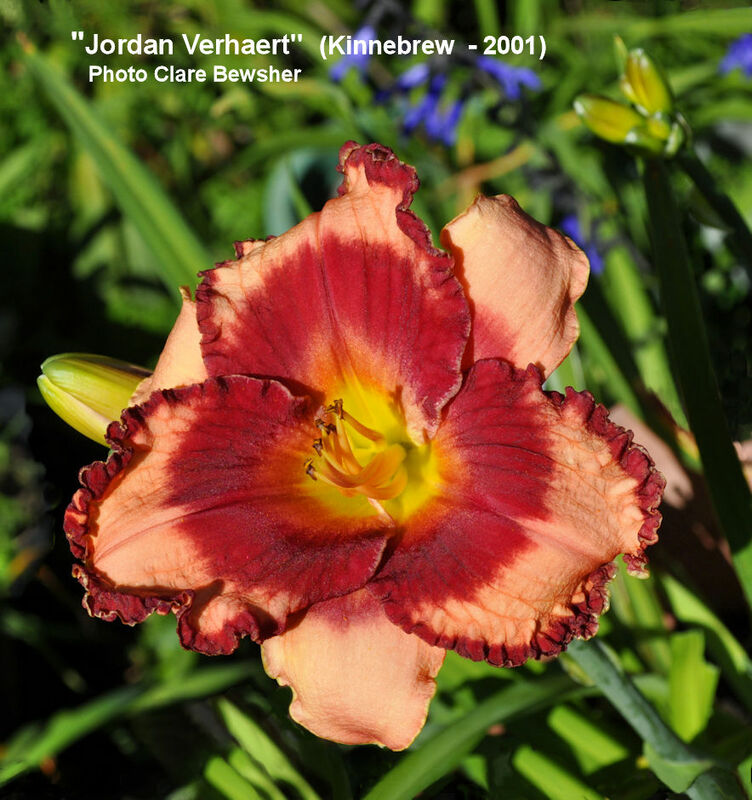 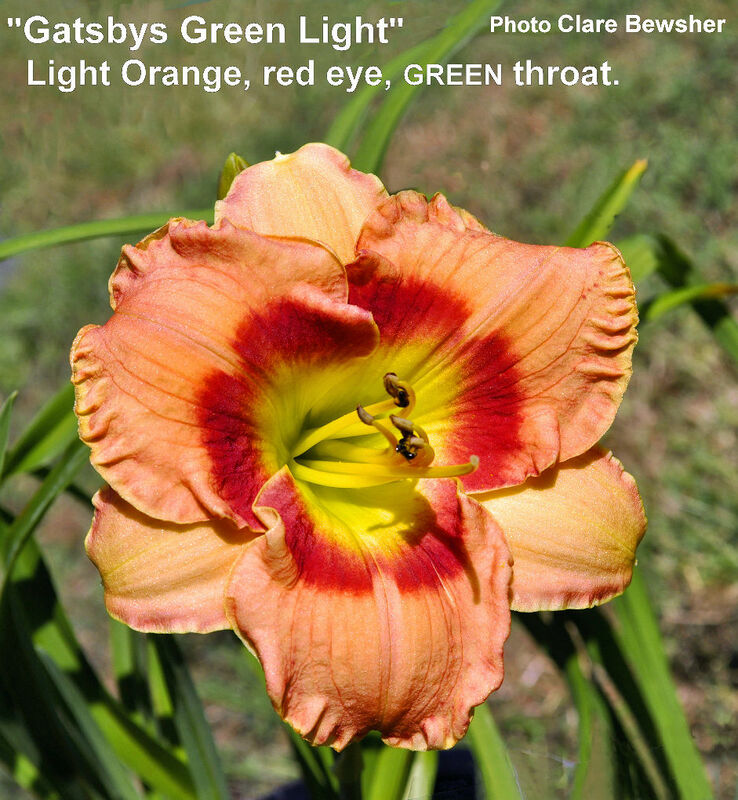 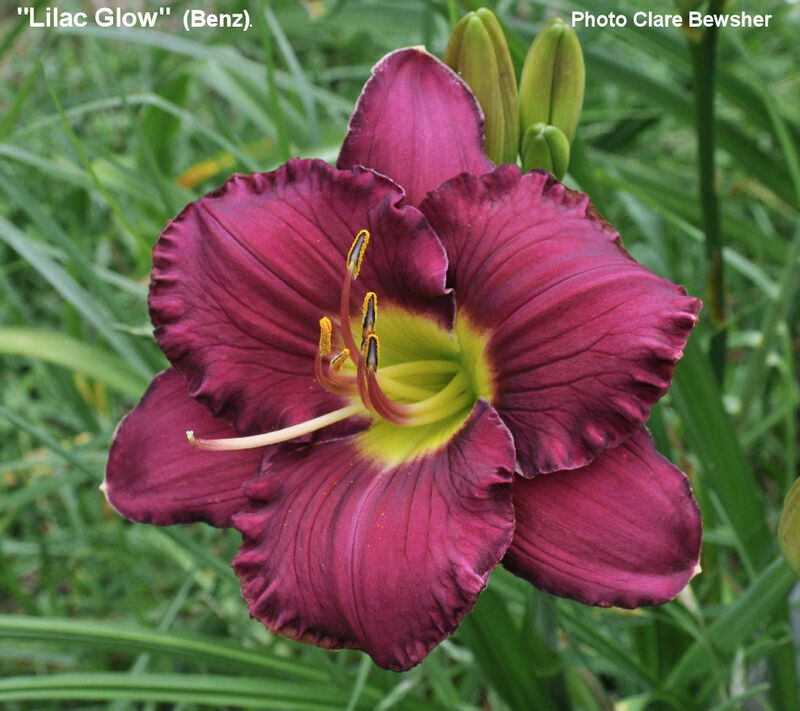 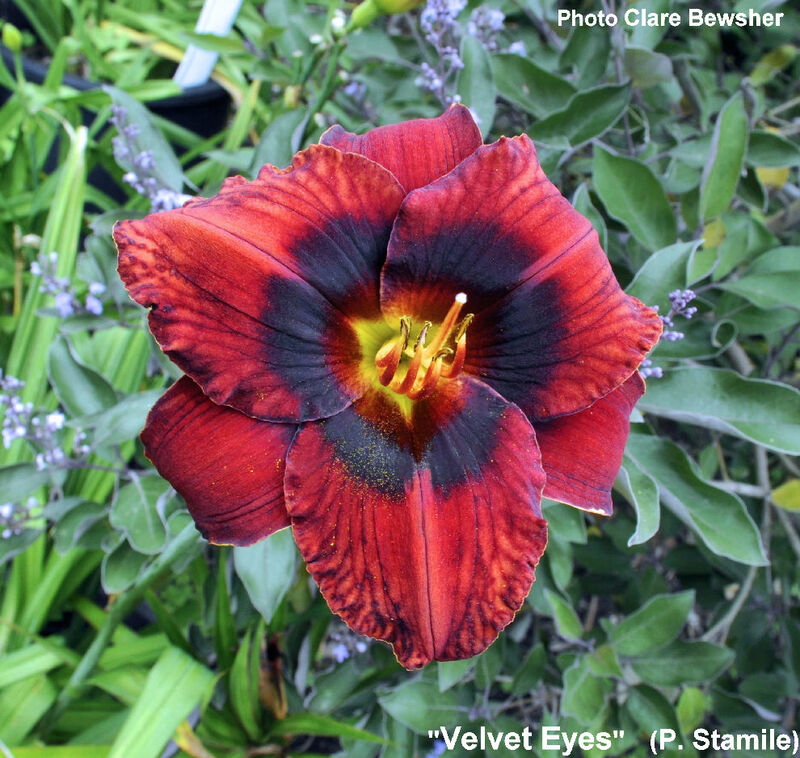 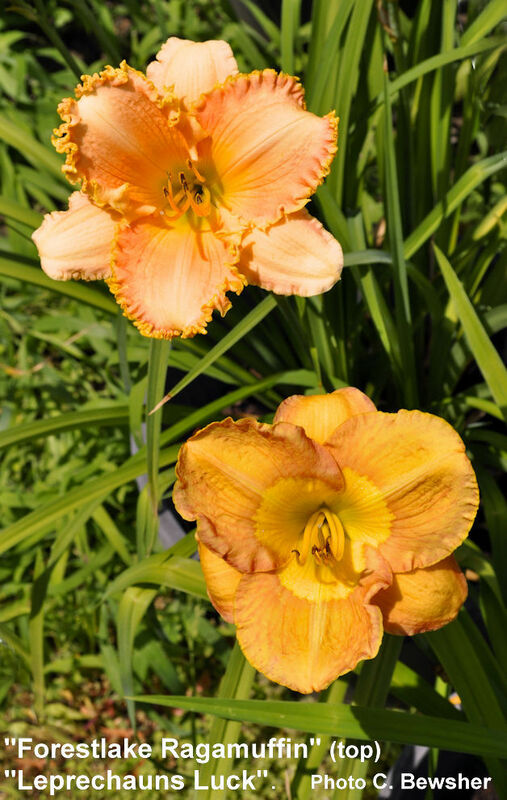 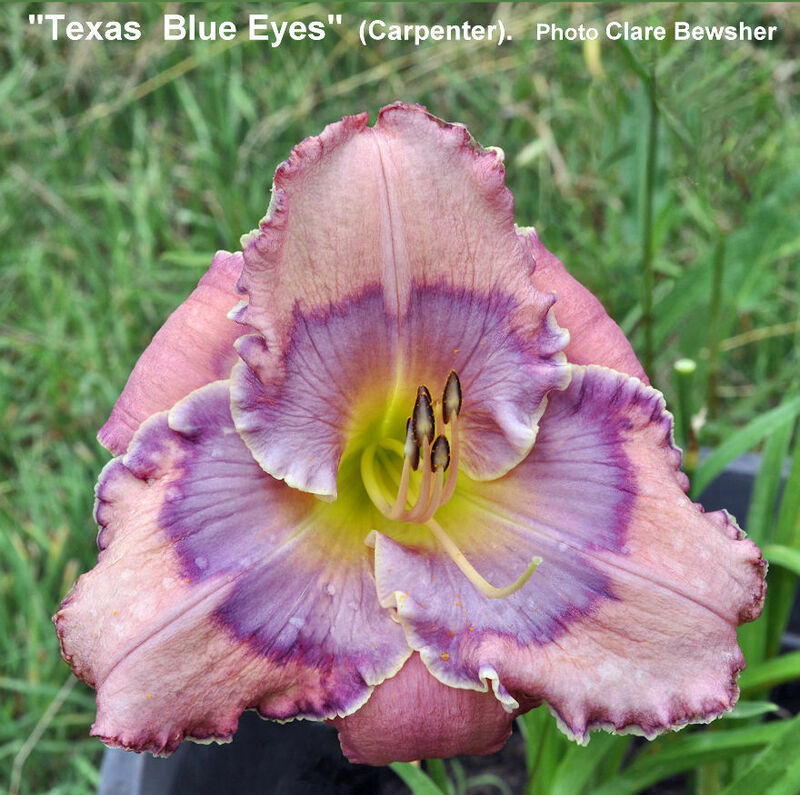 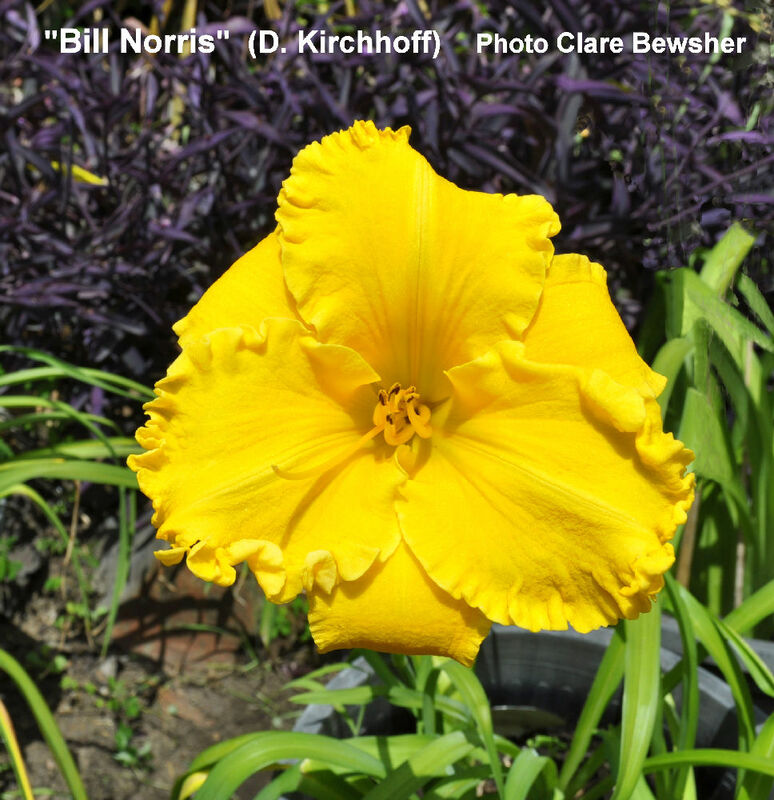 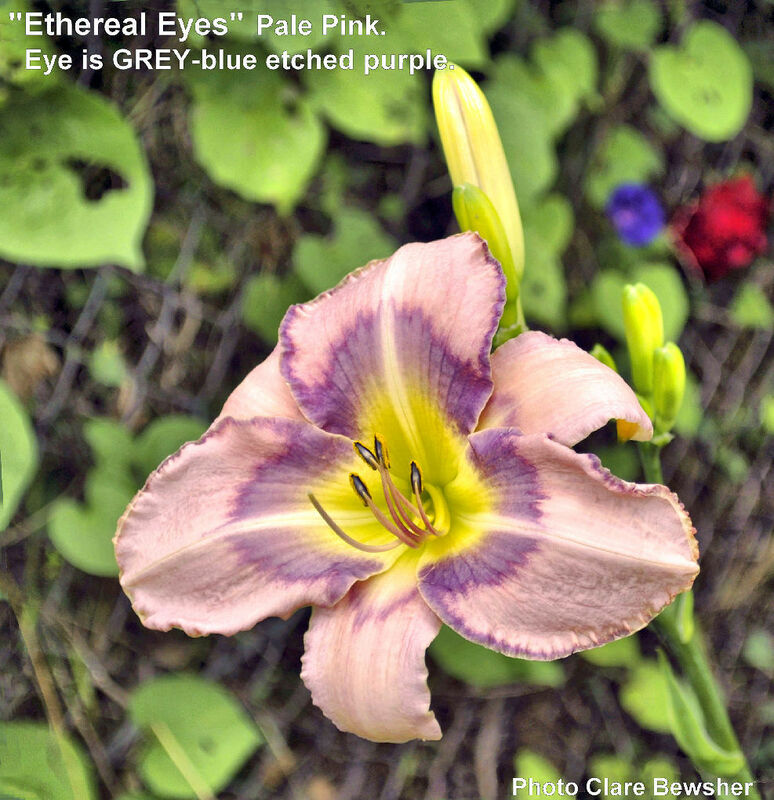 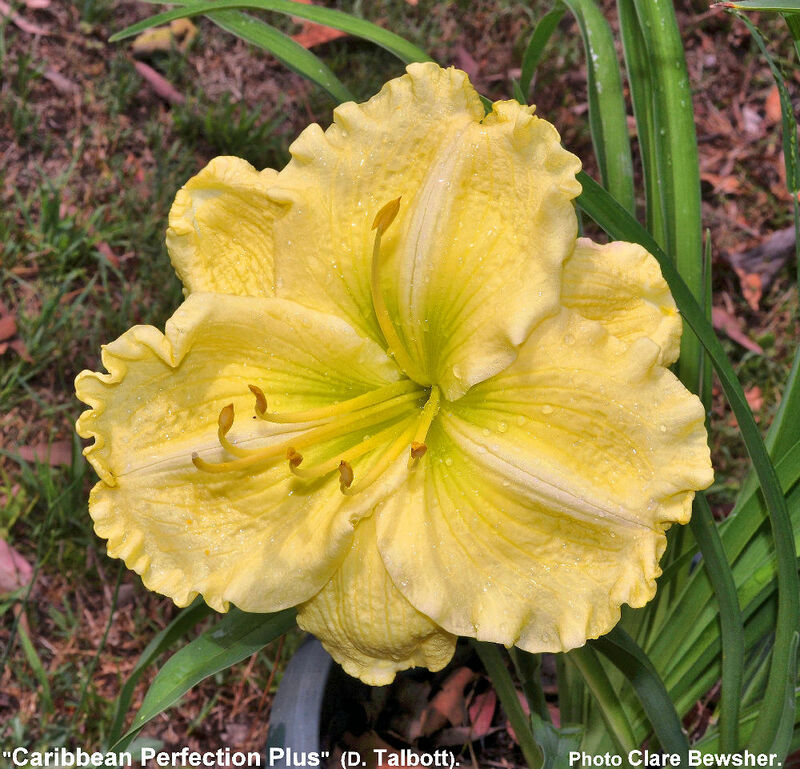 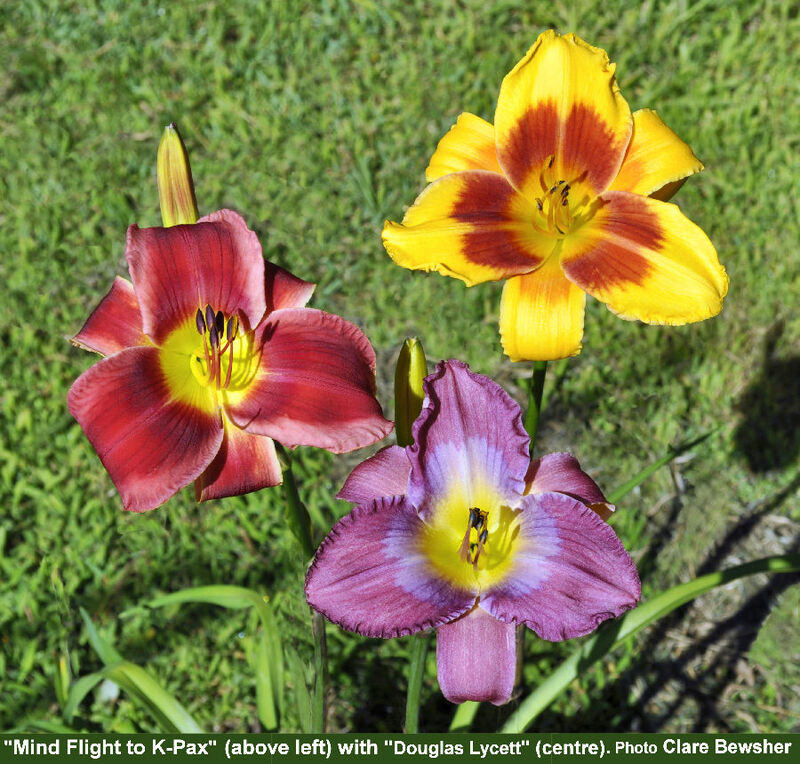 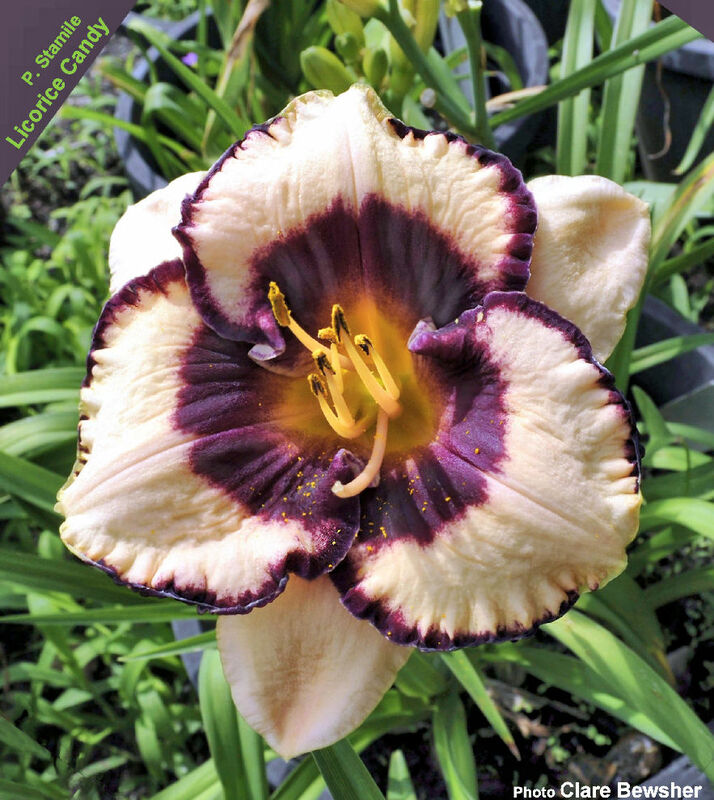 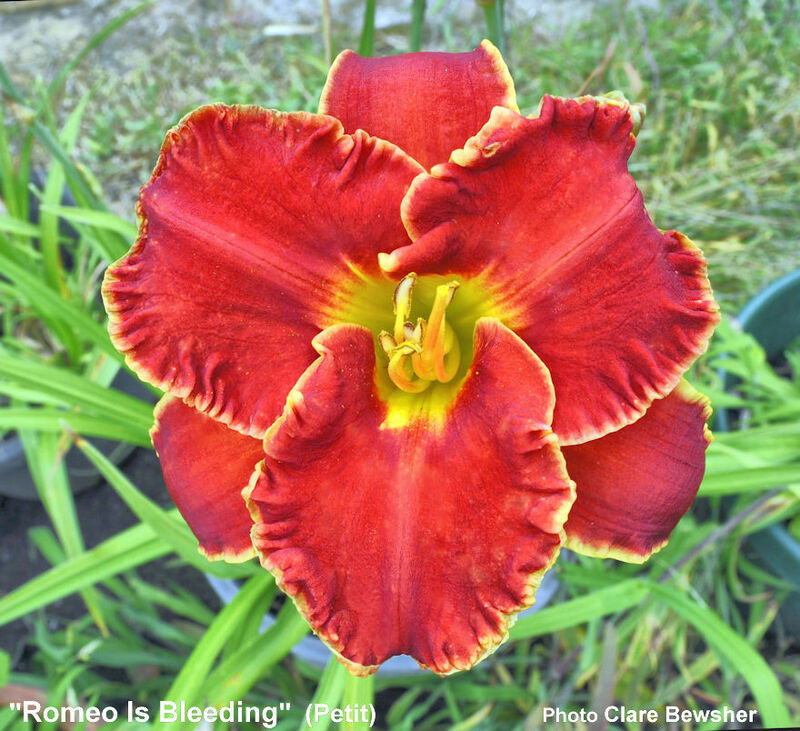 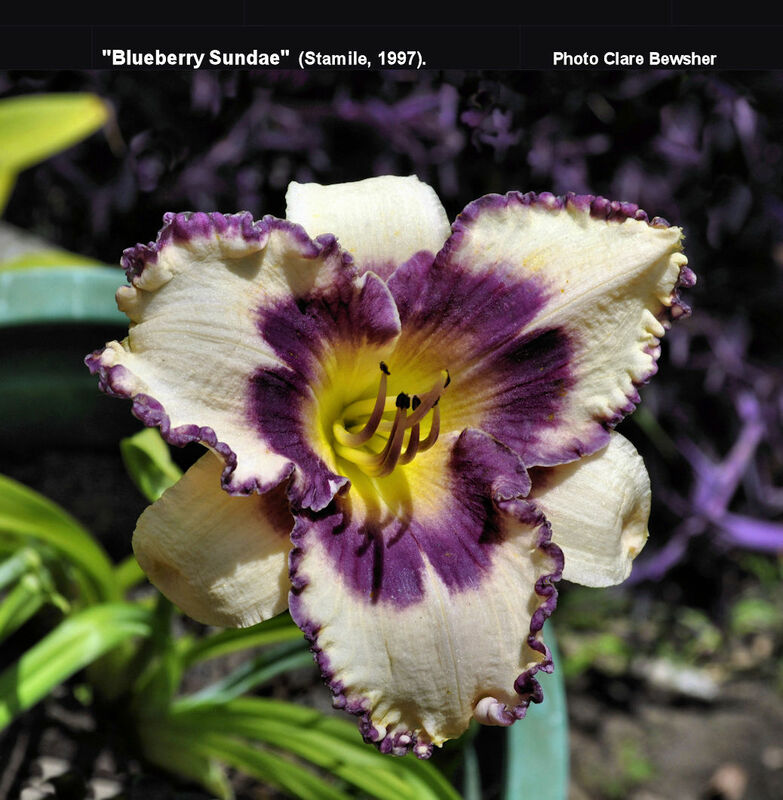 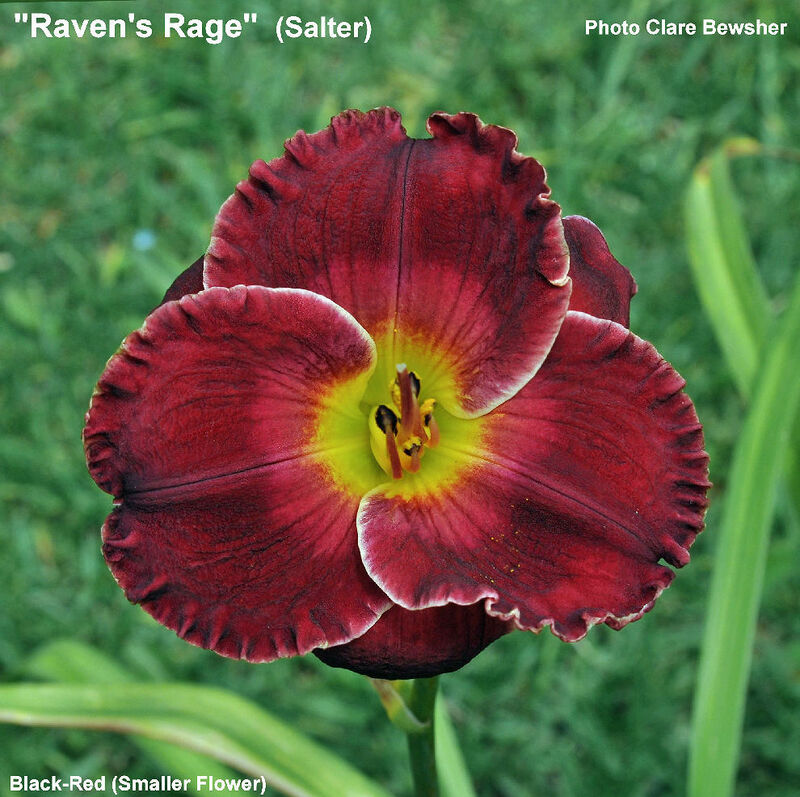 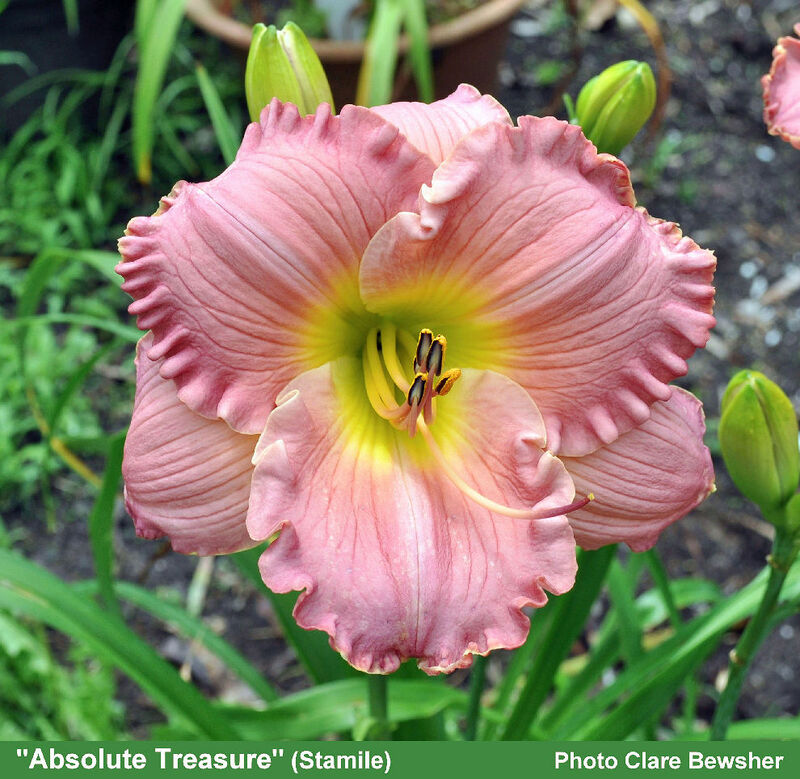 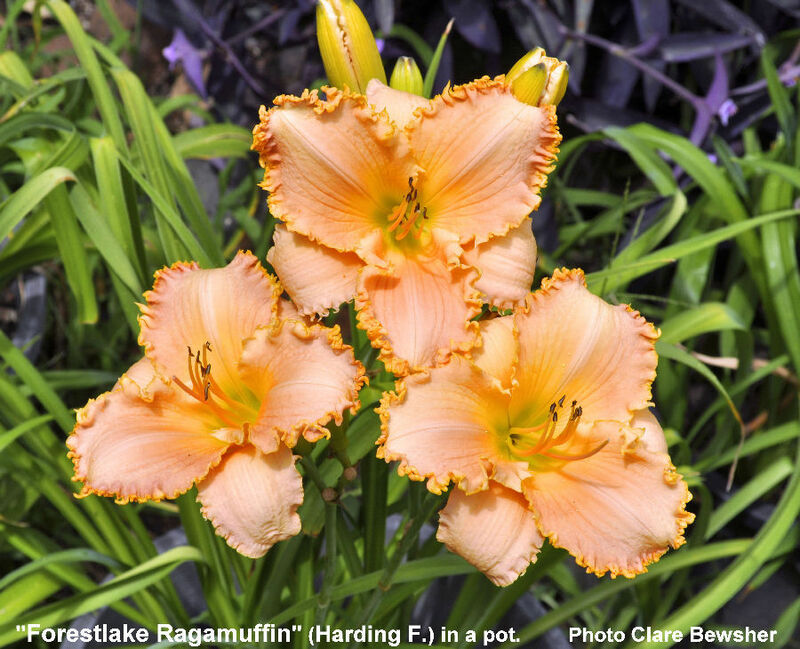 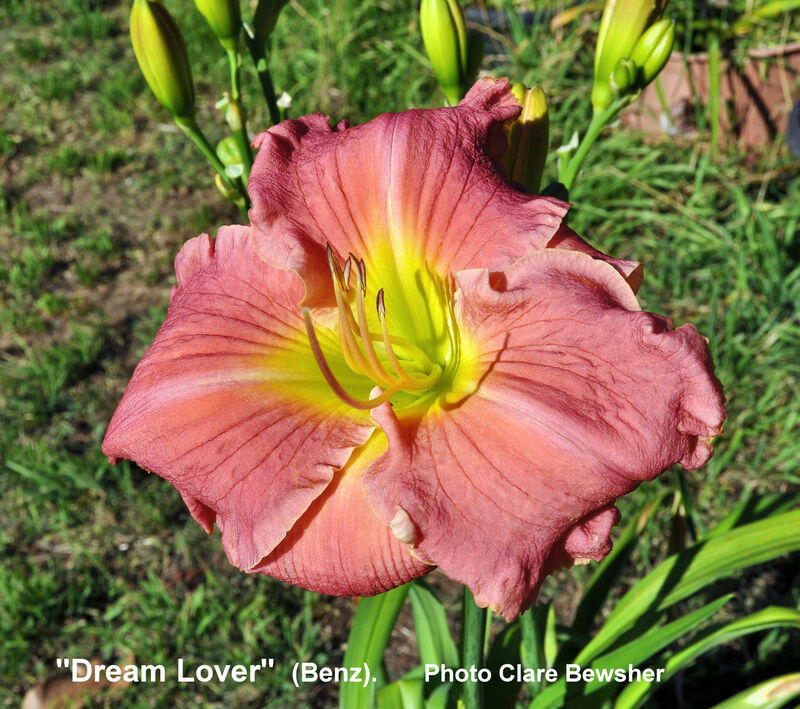 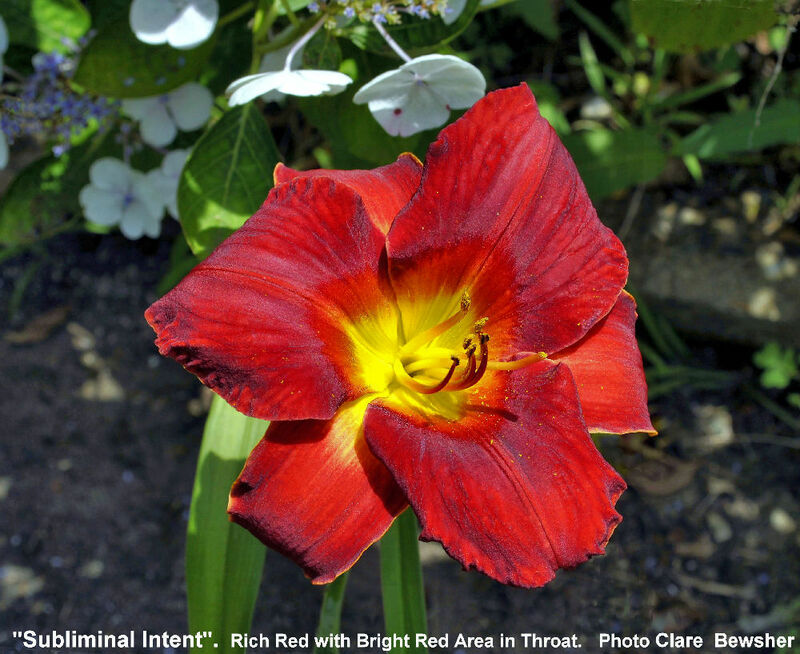 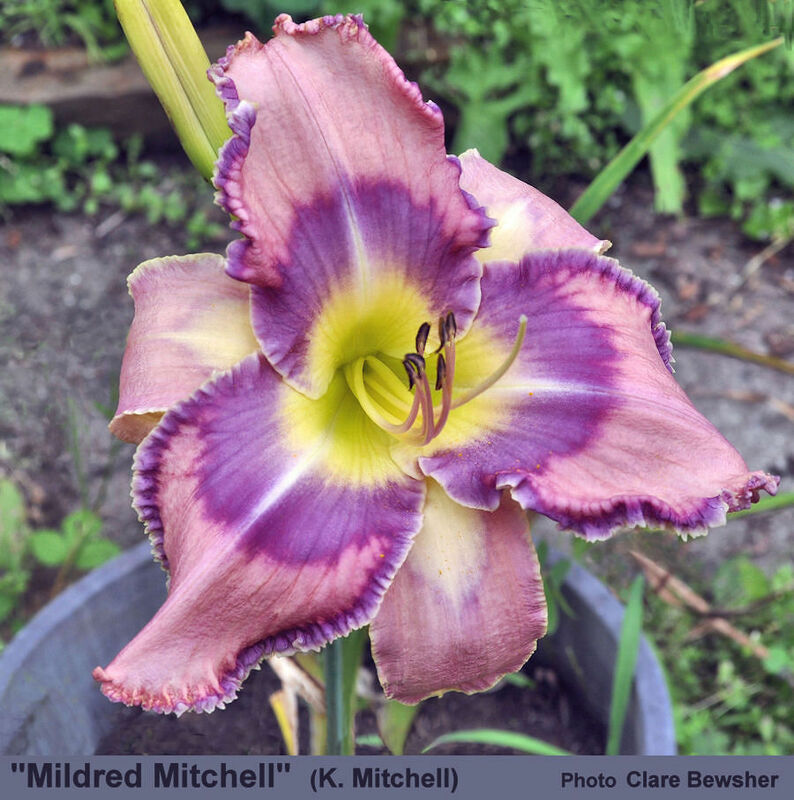 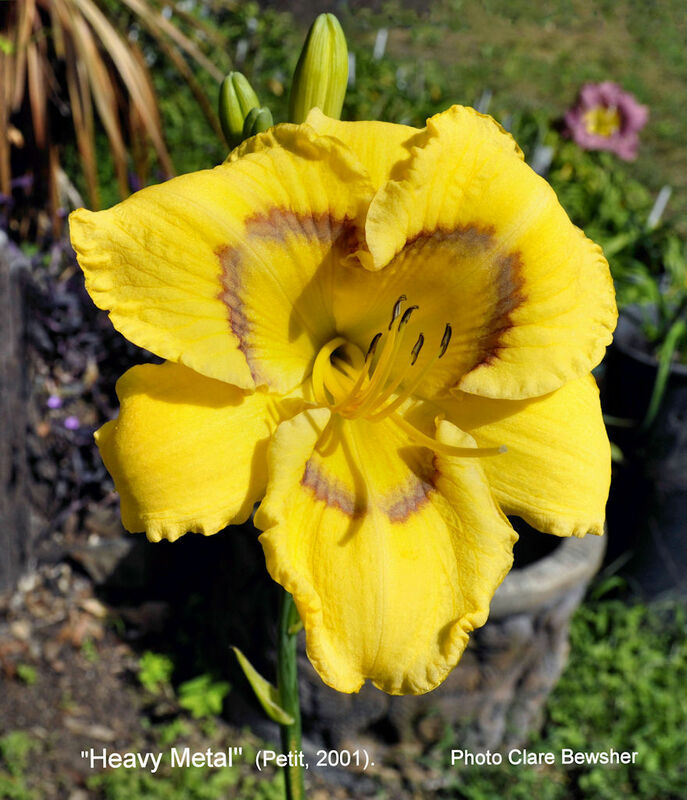 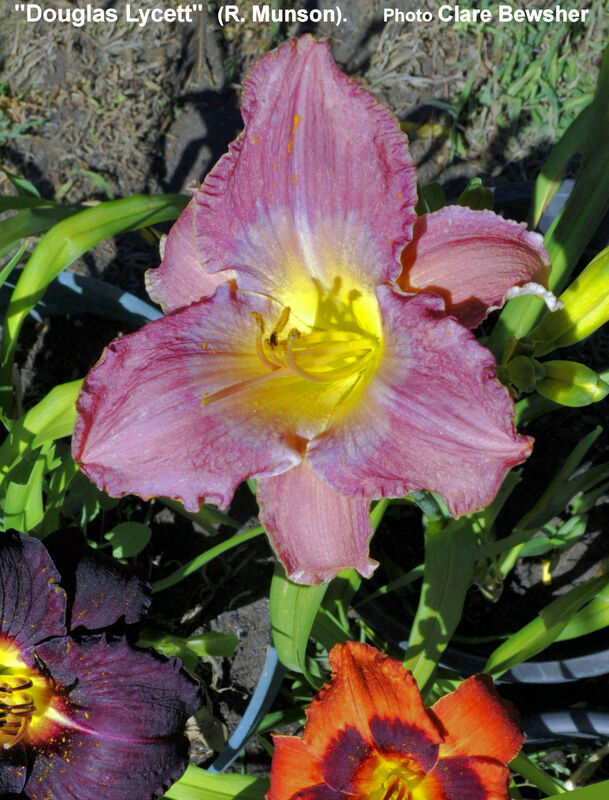 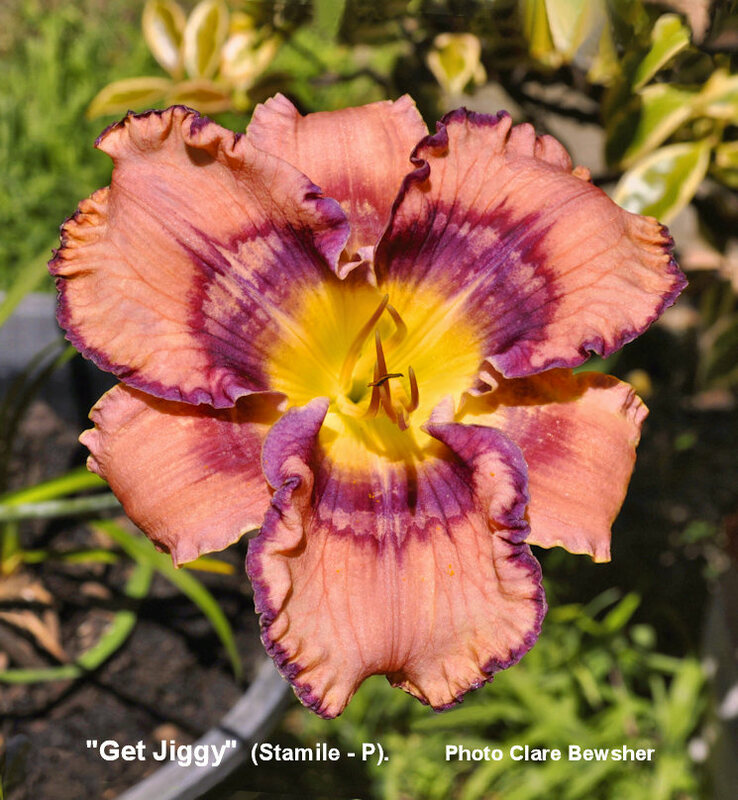 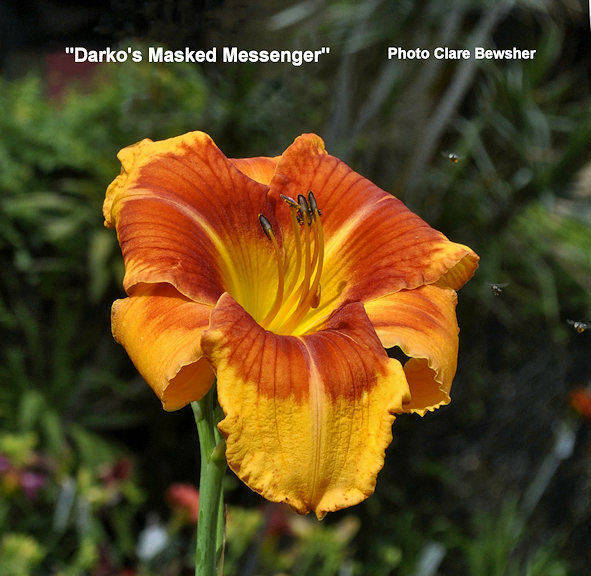 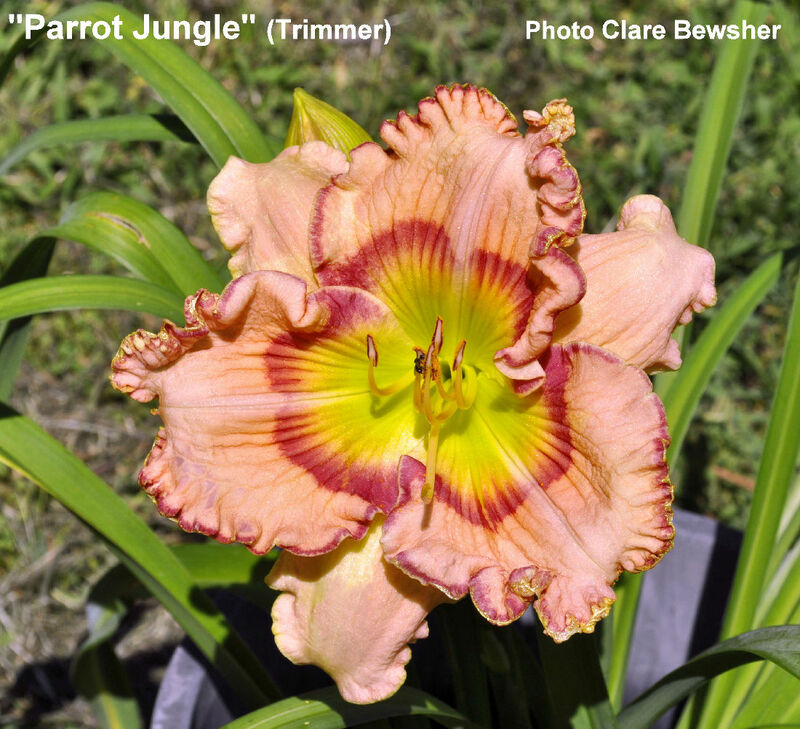 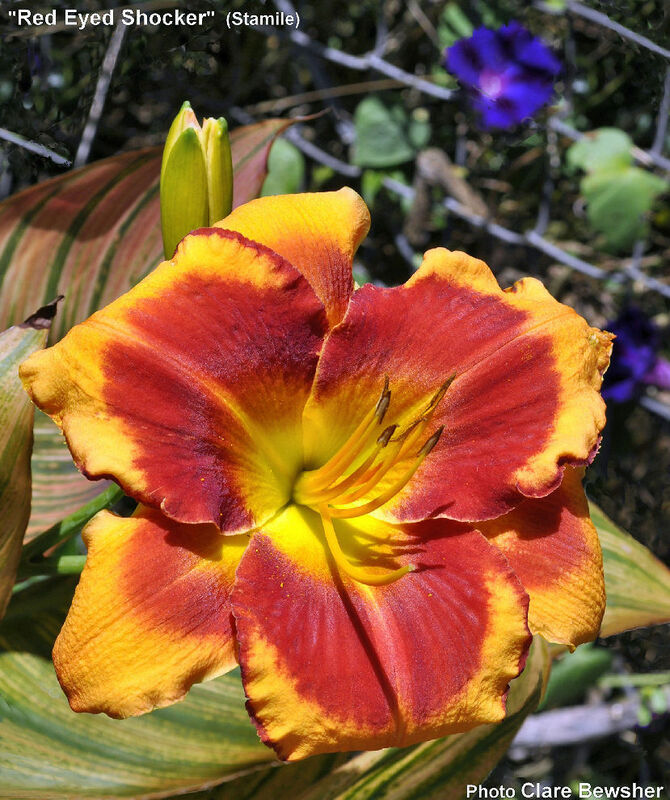 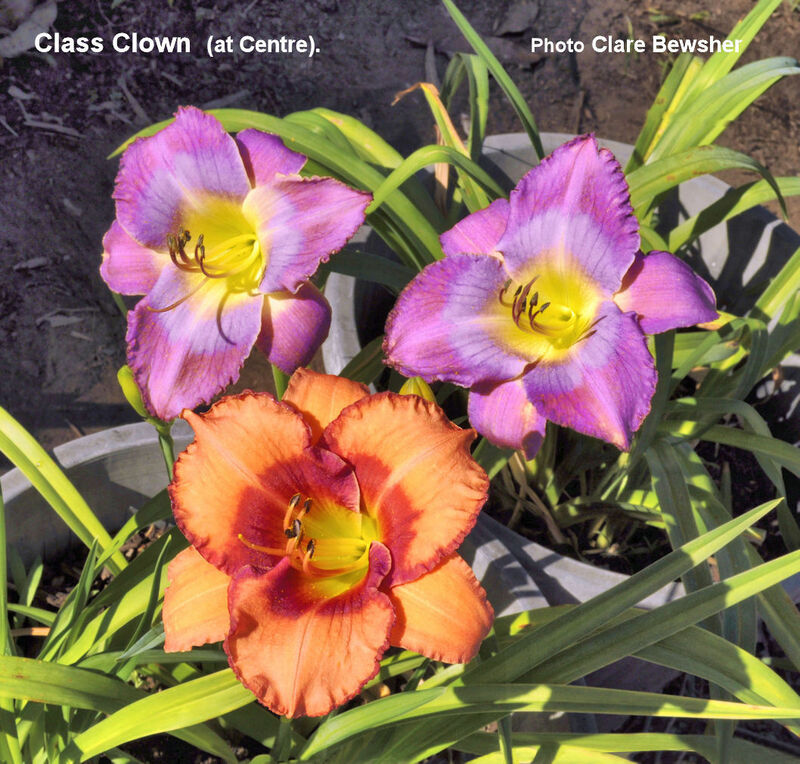 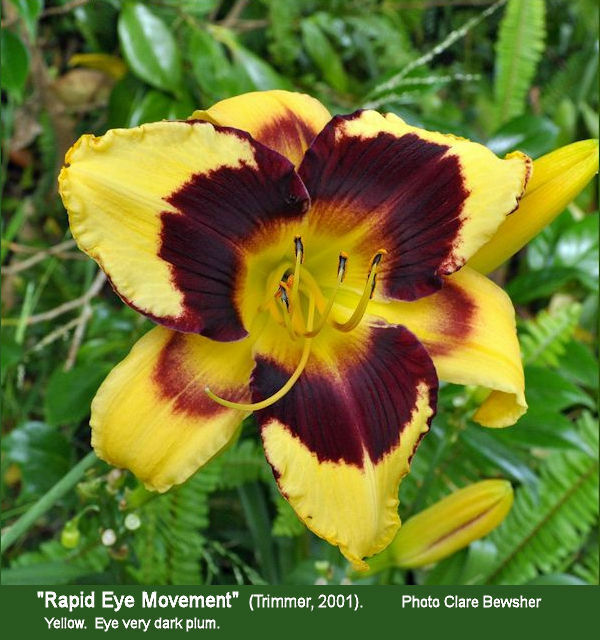 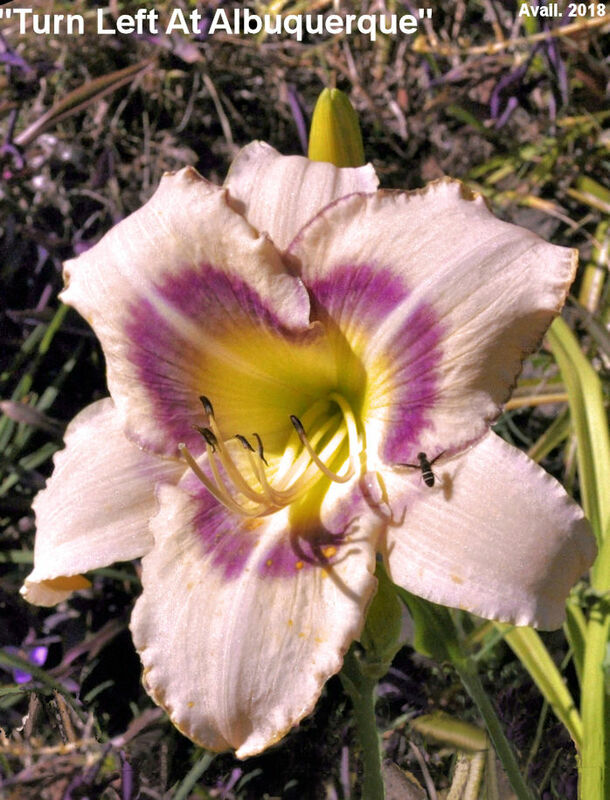 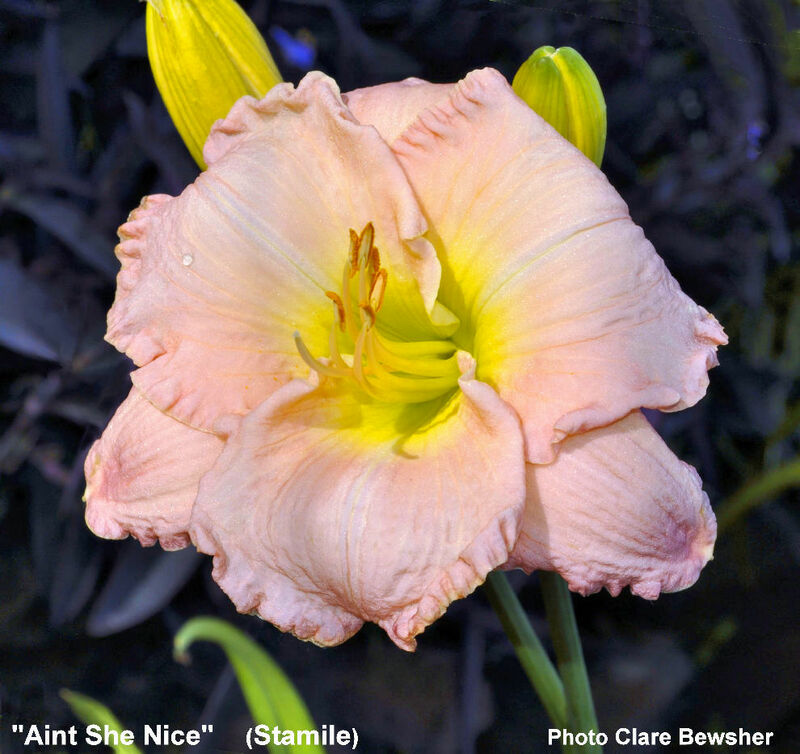 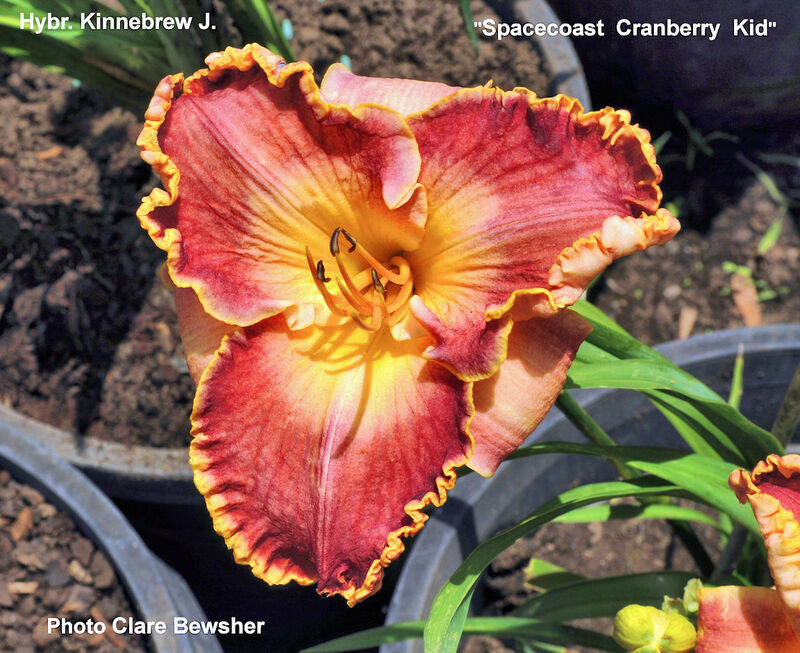 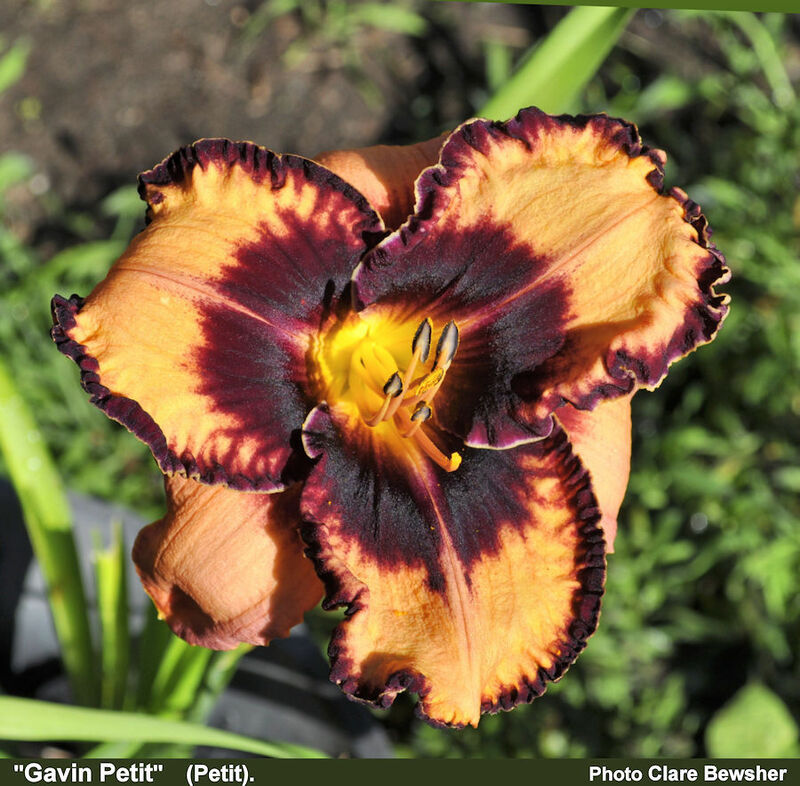 In Praise Of Older Daylilies: Photos of mostly older daylilies, which I still like. 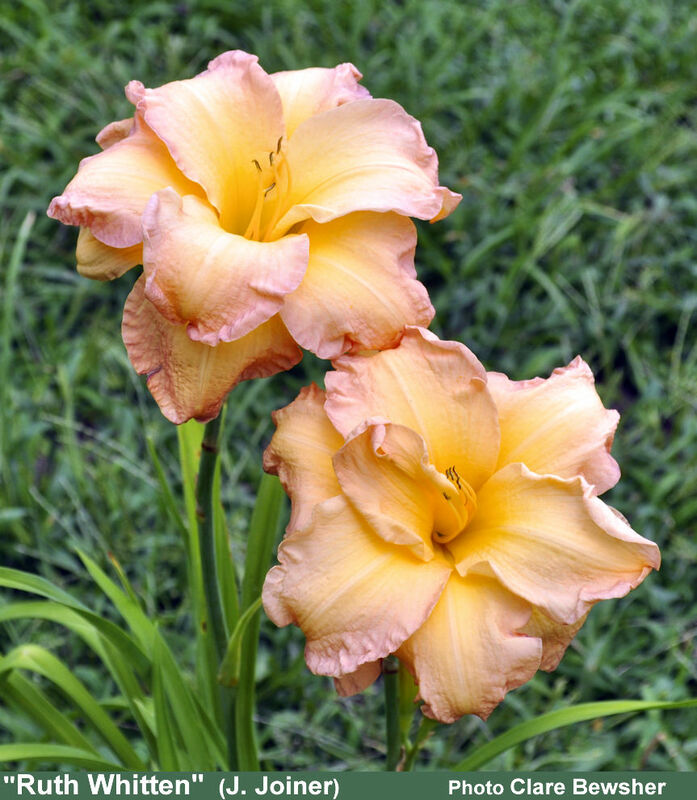 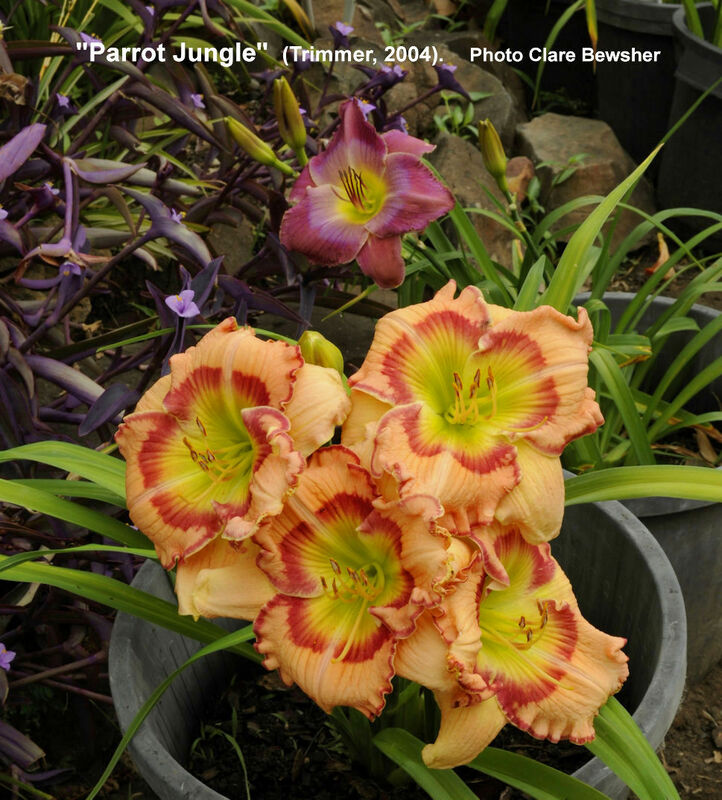 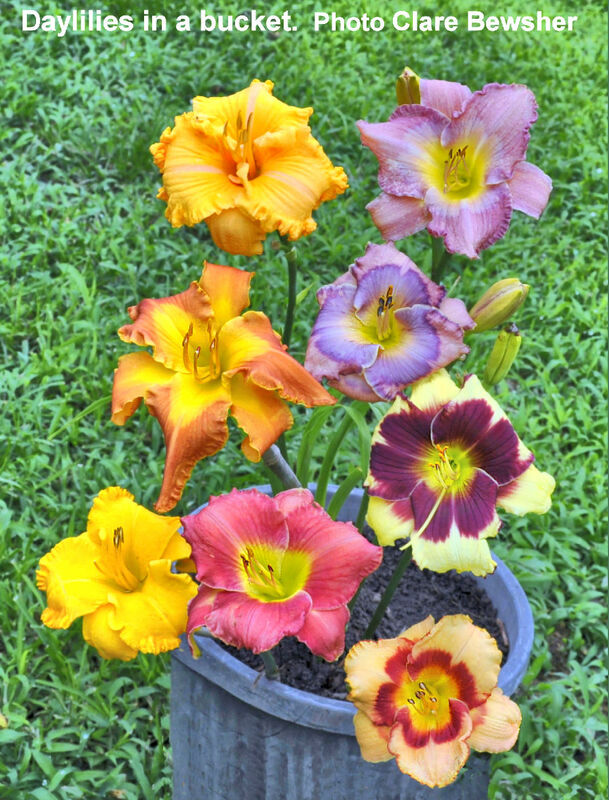 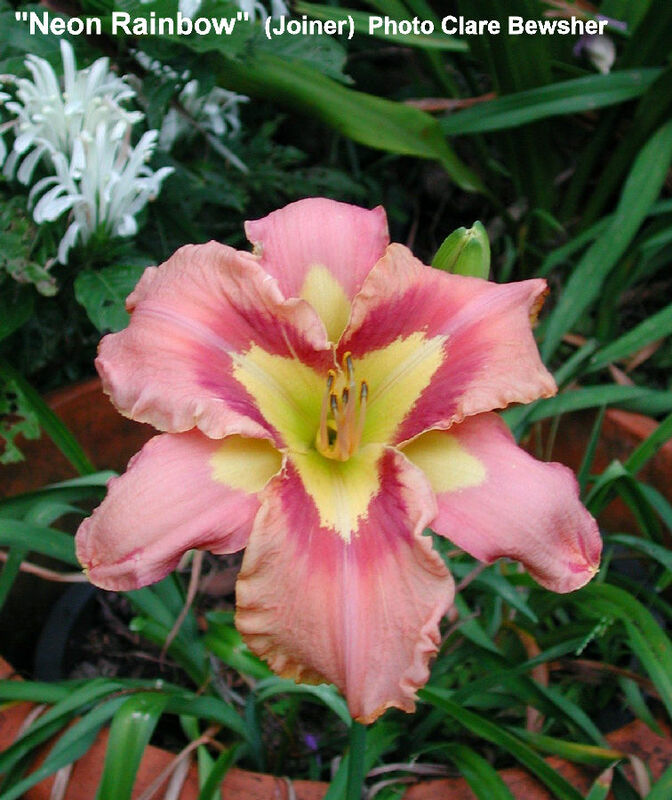 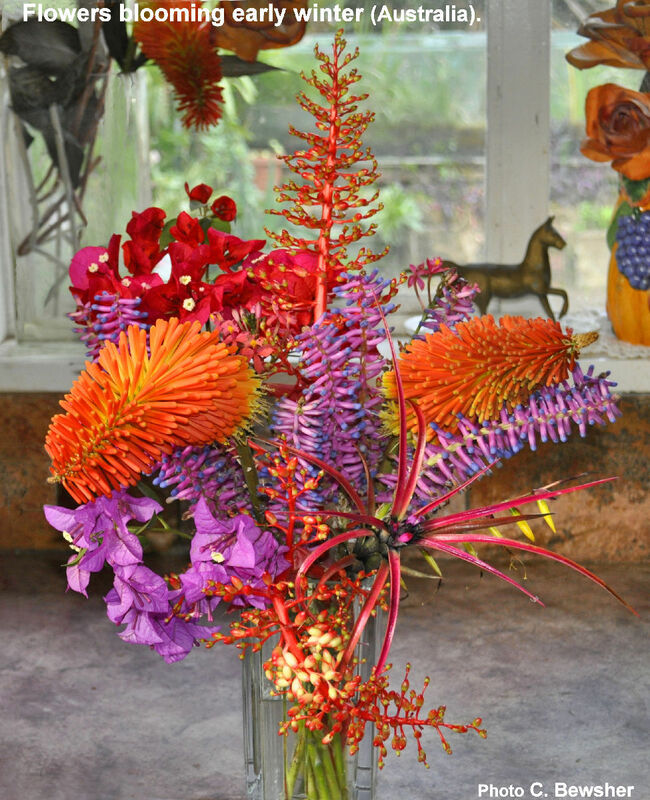 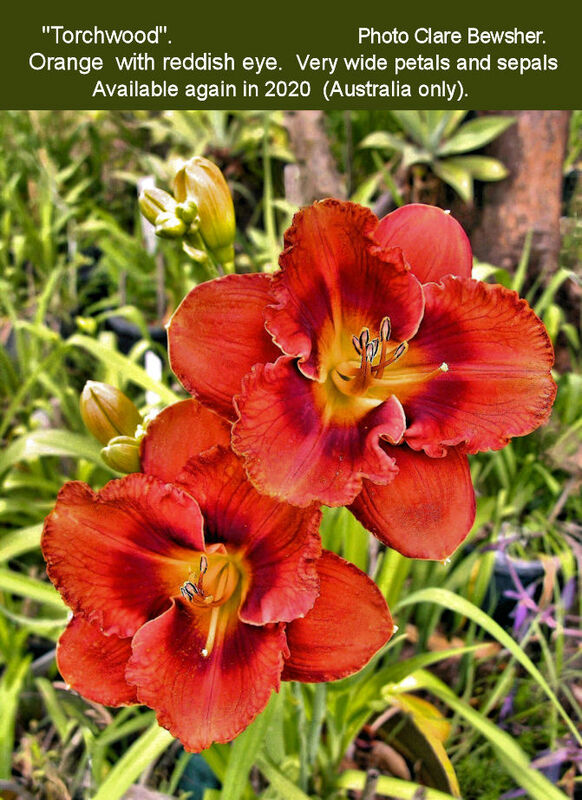 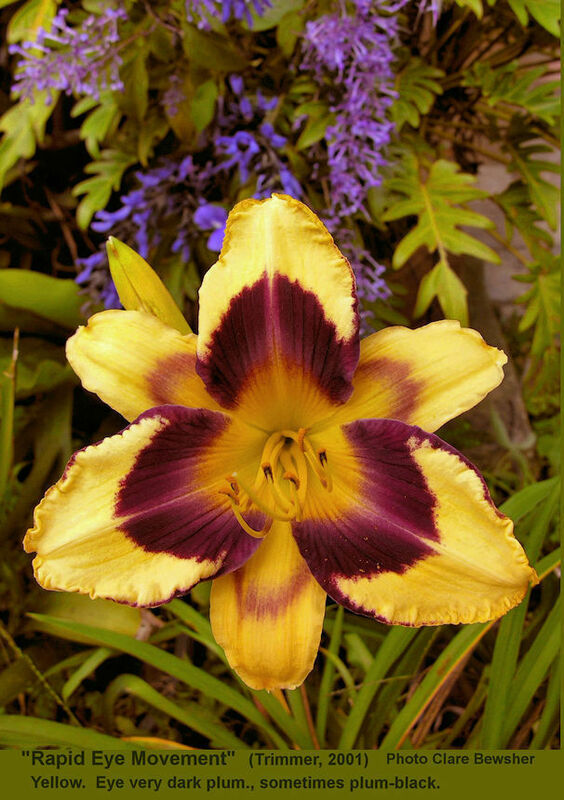 I am primarily a *collector* of daylilies, it is not my aim to become a *regular* seller of daylilies. 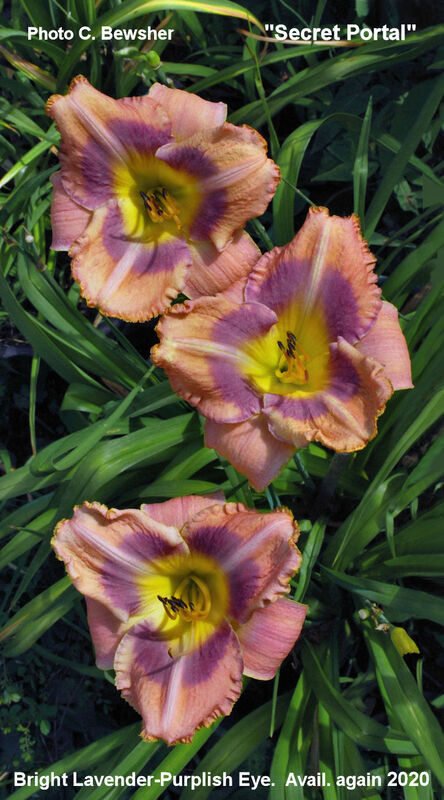 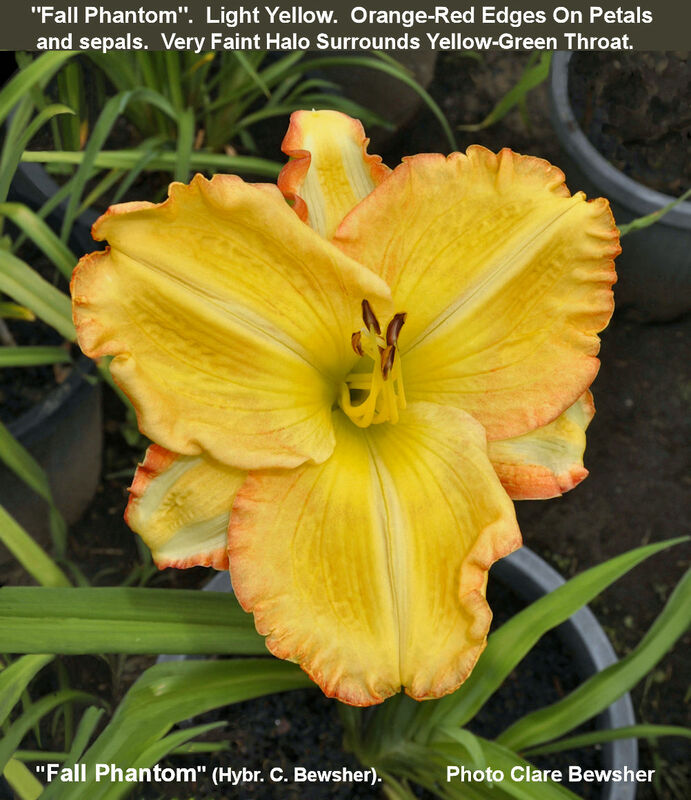 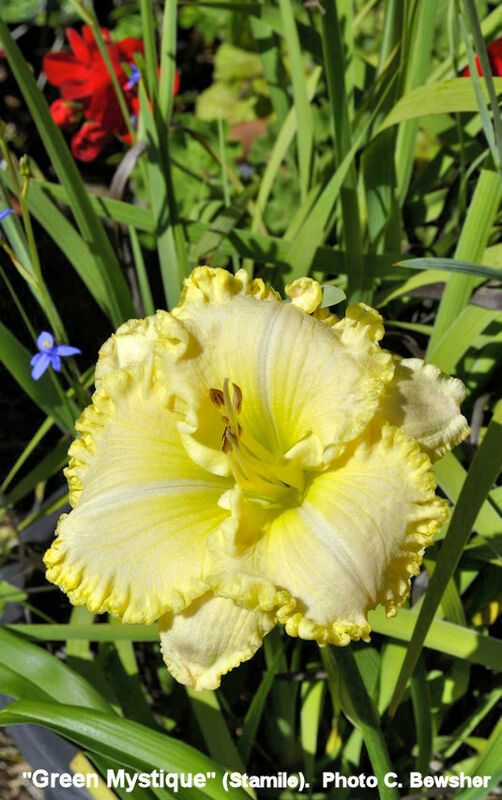 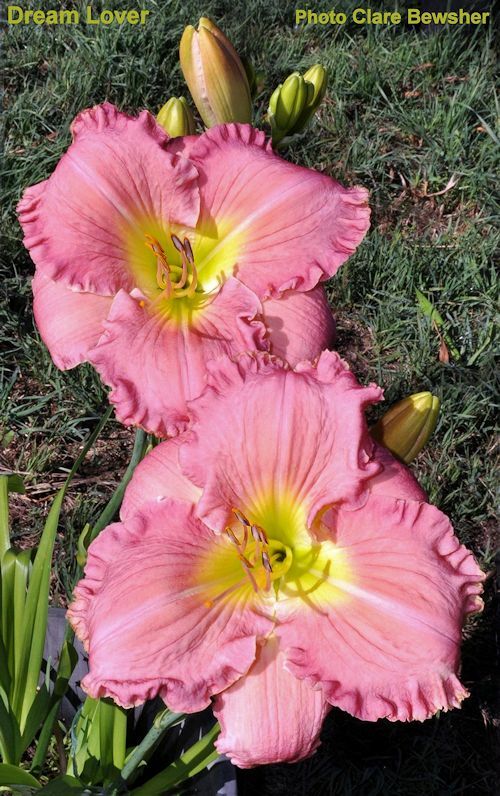 I hope to sell just a few *OLDER* daylilies in April of each year *at Auction*. 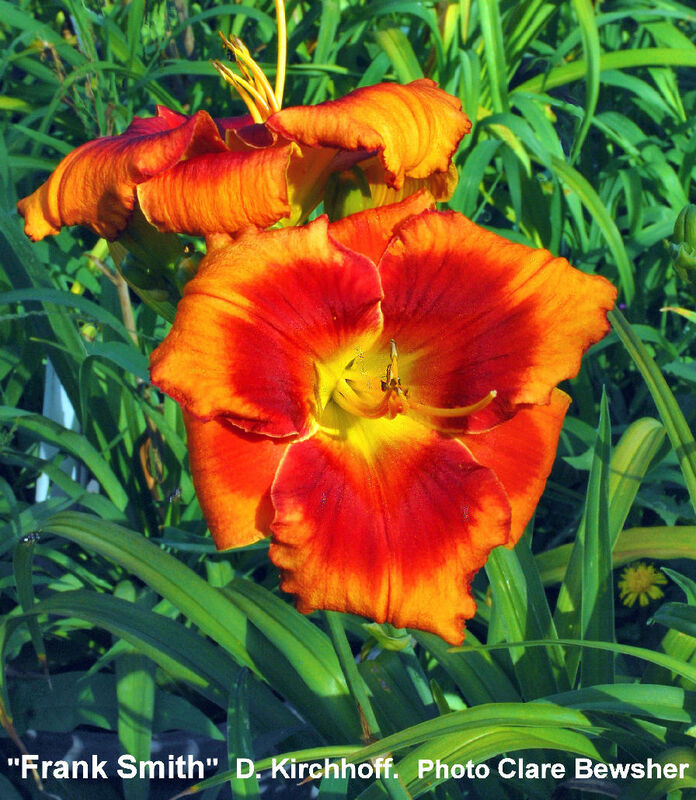 I don't sell daylilies that are newer than the ones below. 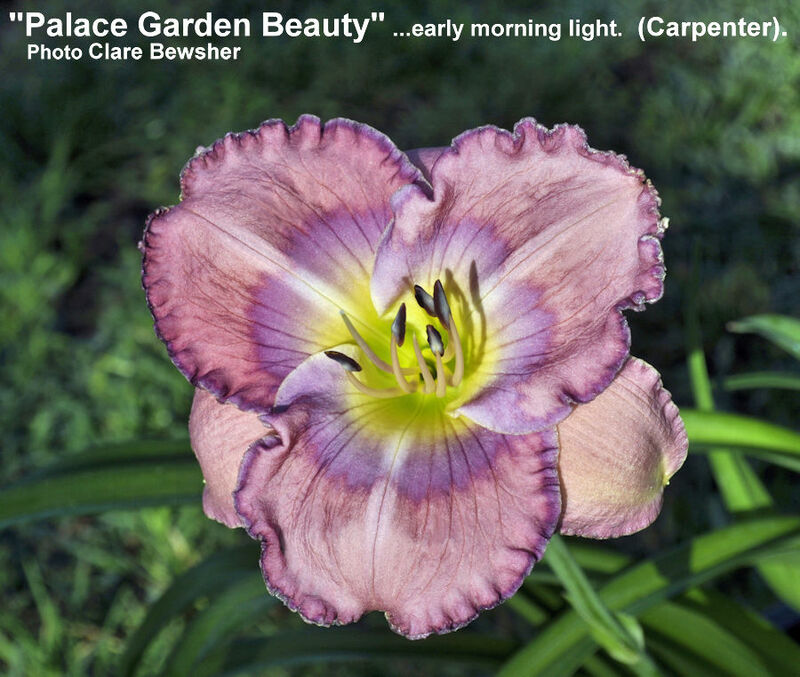 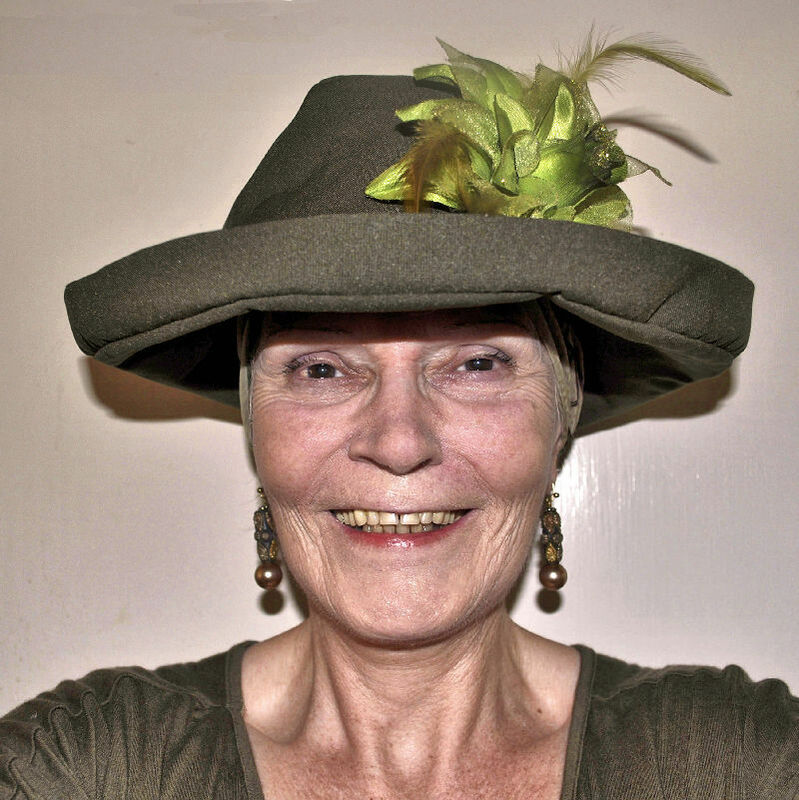 <<please click to see larger pic. 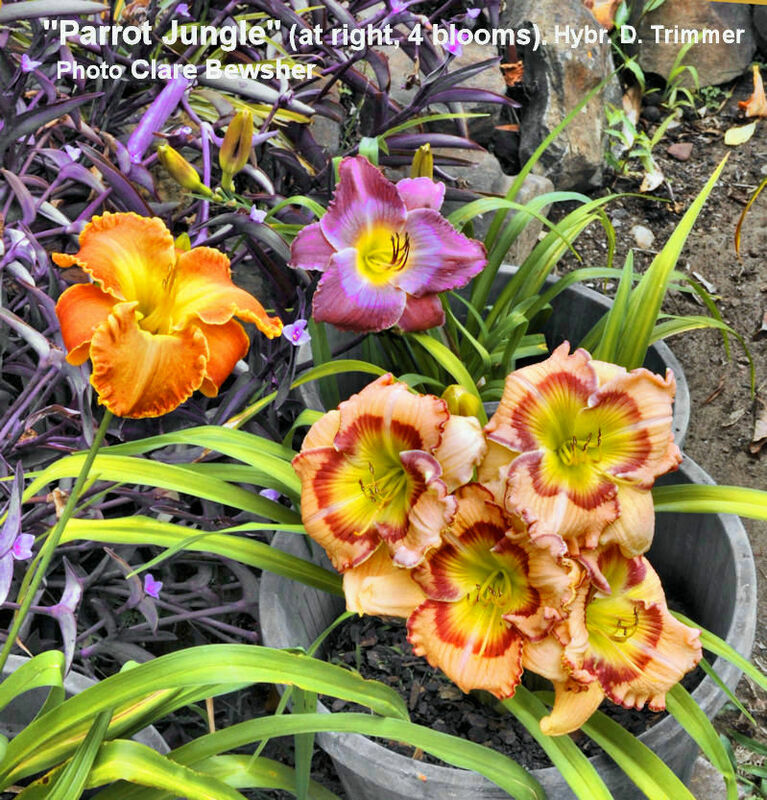 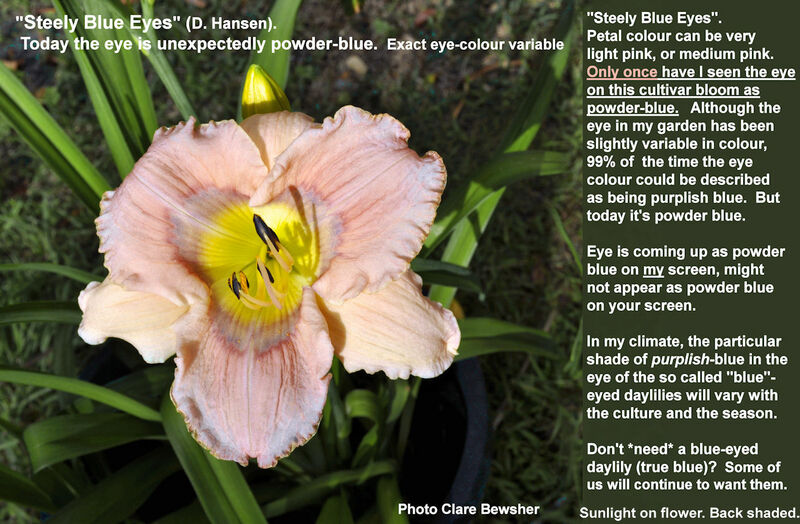 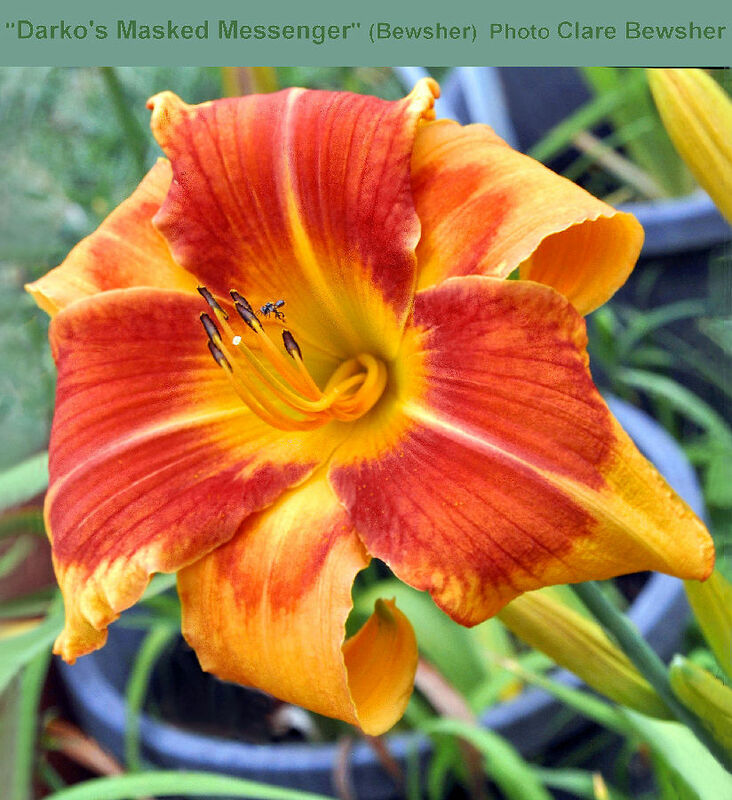 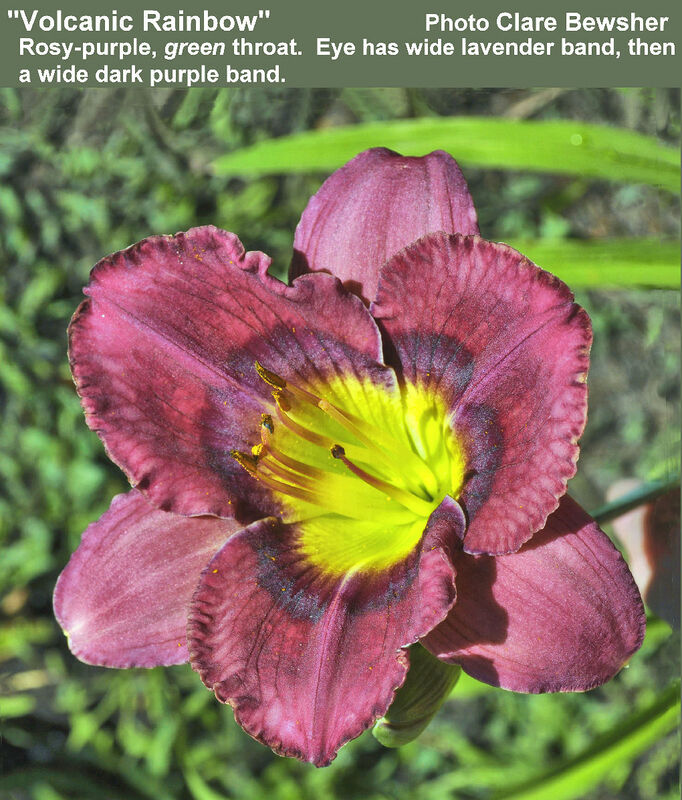 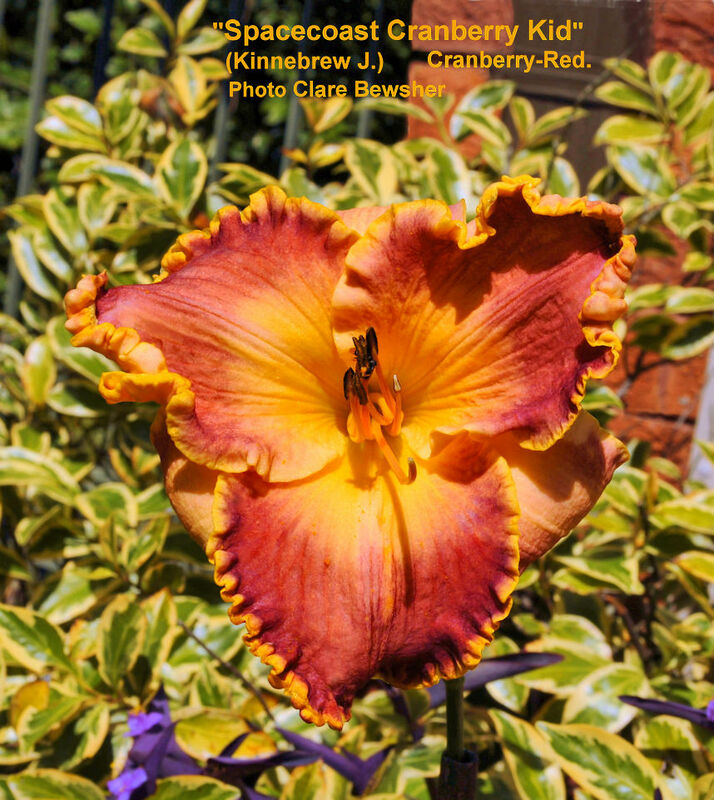 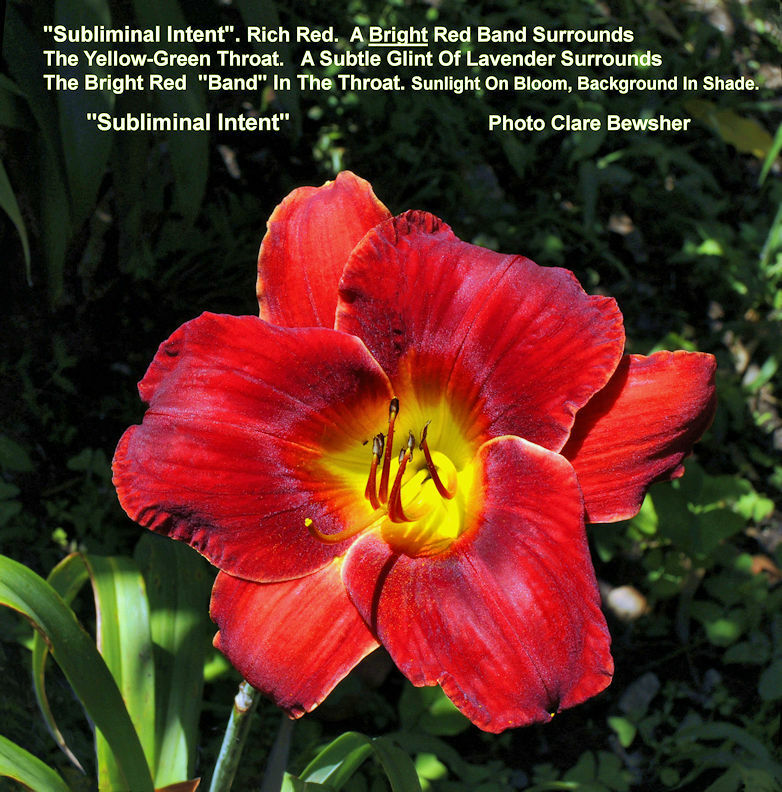 <<Daylily scapes in a pot, please click for larger pic. 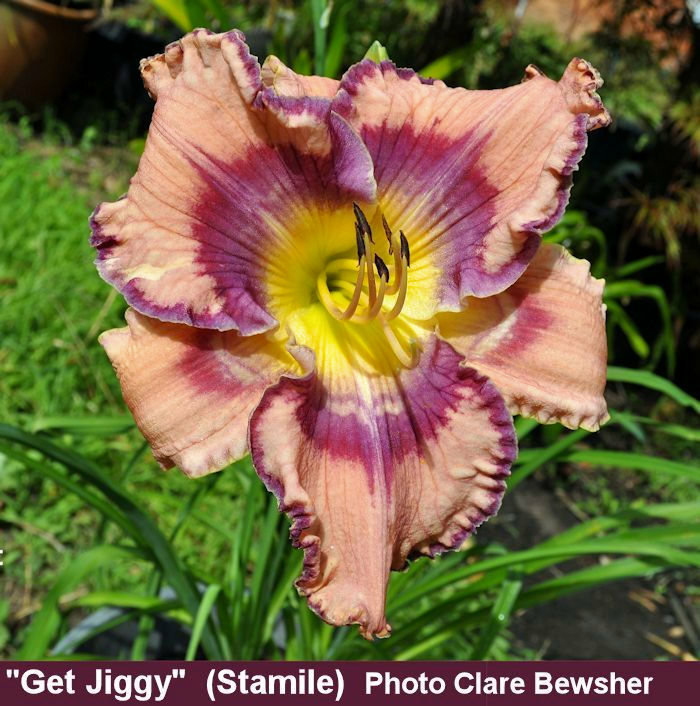 In Praise Of Modern Daylilies Click on line at left to see some pics of more modern daylilies (began to create April 19th 2016).